As parents, we are always on the lookout for great places to visit, that are truly child-friendly. 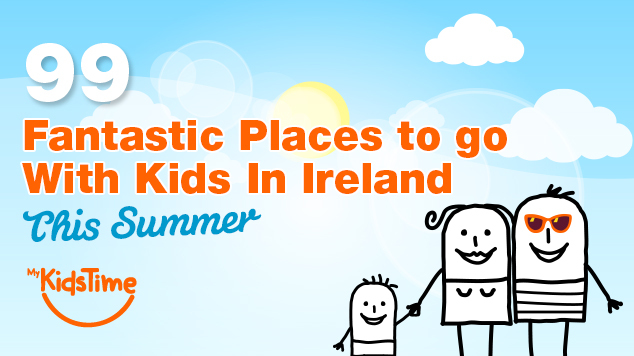 Following on from last year’s popular article 50 Outstanding Places to Take Your Child this Summer, we’ve expanded the list and so here is our pick of 99 Fantastic Places to Go In Ireland with Kids this Summer! You’ll find a mixture of paid for and free places to visit, indoors and outdoors venues, old historical places and fun modern attractions. So what are you waiting for?! We hope you have fun visiting them all and be sure to let us know how you got on and what you thought of them, we always welcome feedback! 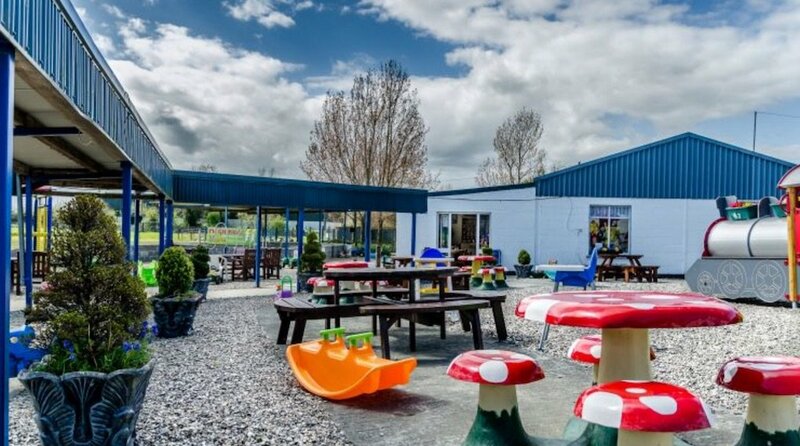 Located in Boyle, Co. Roscommon and set in the grounds of the old King-Harman Estate on the shores of island studded Lough Key, the Lough Key Forest and Activity Park, offers hours of entertainment for all the family. A wonderful Adventure Play Kingdom will entertain the smallest visitors while the weather independent Boda Borg Challenge will test the mental skills and physical agility of everybody over seven! Take a boat trip on the lake or out to the islands, try the Zipit courses and you can even stay over in the campsite. Or let the kids enjoy a first driving experience on the Kids Jeep Safari! There are miles of biking trails and orienteering courses and loads of picnic spots as well as the Lakeside Café. ​L​ocated in the heart of the breathtaking Delphi Valley​ n​ear Leenane in​ Connemara, ​Delphi Resort is one of Ireland’s leading family holiday destinations – ​be prepared for fun​, adventure and creating unforgettable memories on your family holiday to ​Delphi Resort. Onsite Delphi Adventure Centre with over 20 water ​and​ land based adventure activities​ (for all ages and abilities) such as kayaking on Killary Fjord, archery, surfing​ on Cross Beach, Zip-lining and much more. Perfect base for exploring Connemara and South May​o​ regions​ – Westport, Kylemore Abbey, Connemara National Park and more! Don’t Miss: Go Zip! activity: 3 rounds of the all new 220m zipwire! The National Museum of Ireland – Country Life in Castlebar, now open 7 days, brings to life the traditions of rural life in Ireland, with exhibitions that are full of wonderful objects from long ago. See what schools were like, the toys children played, with and how they marked special events like Halloween & Christmas. Learn about how people lived in the towns and countryside, cut turf, caught fish and worked in the home. Workshops, exhibitions and family programmes for all ages and entry is free. Don’t Miss: A stroll around the lake and lunch in the courtyard cafe. 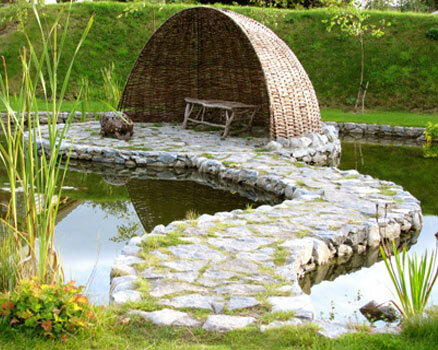 Brigit’s Garden in West Galway, located between Moycullen and Oughterard, is a magical place for families to explore. With family-friendly Celtic gardens, children’s discovery trail, willow play area and sandpit, Nature trail, ring-fort and crannog, gift shop and the award-winning, family friendly Garden Café. Look out for special events that run throughout the year including Summer Nature Camps for Kids. 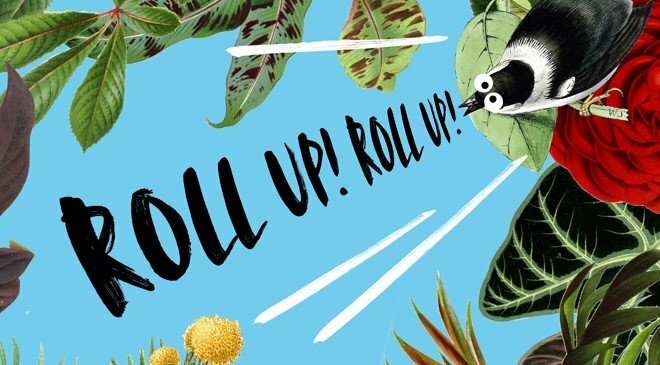 Don’t Miss: The fun nature trail that takes you around the Garden. We guarantee you’ll jump (!) 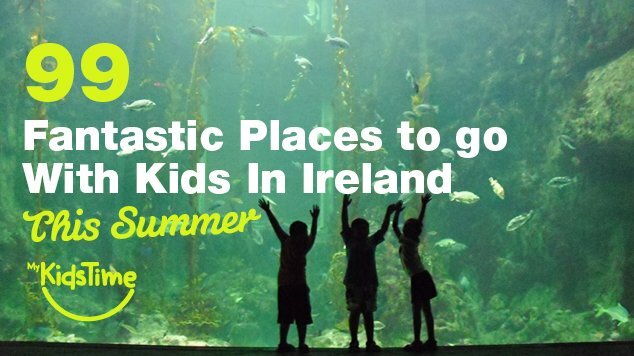 the first time you venture through the entrance to Galway Atlantaquaria, Ireland’s largest aquarium, and that’s because their first exhibit is Ireland’s largest “Splash” tank! Don’t Miss: The Eel tank – see if you can spot them sliding in and out of the pipes! 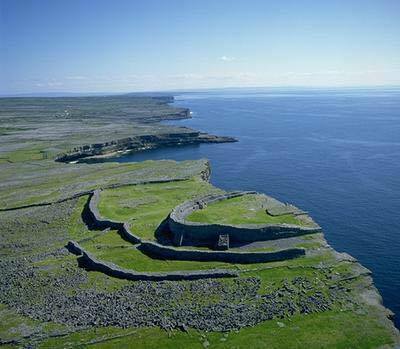 We love The Burren Nature Sanctuary near Kinvara, an interpretive centre on the natural history of the Burren. There’s an Adventure Playground with excellent equipment, including a fantastic sand pit. Afterwards, take the 1K Nature Trail, a gentle loop walk where you can feed the sheep and see llamas. Kids can do a nature trail activity where they can make rubbings of leaves and other nature items on the way around and return their sheet for a “reward”. Indoors there’s an artisan cafe, and soft play area with slides, ball pool and climbing frames. Read our review on our Family Trip to the Burren. Don’t Miss: Feeding the animals as you wind your way around the nature trail. Experience the market street and see the dark side of life in the centre’s medieval dungeon. Relax in the picnic area afterwards. 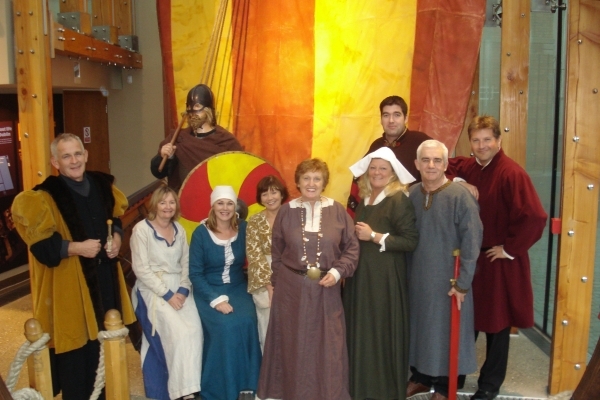 The centre’s tour guides are here to make sure everyone has fun in the best-preserved medieval town in Ireland. Don’t Miss: Exploring the wooden maze! 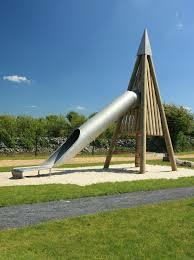 Portumna Forest Park makes a great day out for kids, situated 1 km from Portumna town in Co. Galway. Pack up a picnic, outdoor gear and kids bikes/scooters for lots of outdoor fun, including leisure and mountain cycling, the Arboretum, Forest Park, Walking Trails,and Orienteering with access for all. Picnic facilities available on-site. There are 4 looped trails in the park, ranging from a multi-access trail suitable for all visitors of approx 1km length, to a long multi-use trail of over 10km for walkers and cyclists. One of our favourite walks takes you near the edge of Lough Derg and back to the picnic area. We have seen deer and red squirrels, as well as birds and shyer species including foxes and badgers. Dogs are allowed, just keep them on lead at all times. 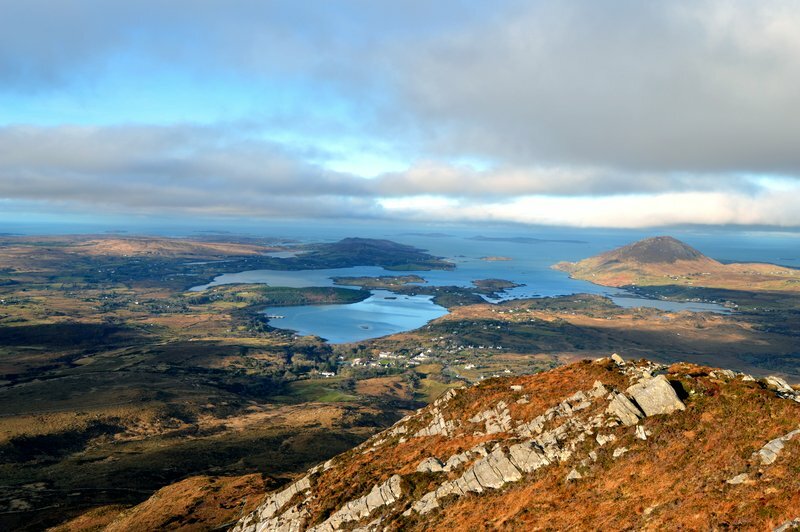 Diamond Hill located in Connemara National Park in Co. Galway has several looped walks including a Nature Trail walk of 0.5 km, a buggy-friendly 3 km-trail of Lower Diamond Hill, and the Upper Diamond Hill loop is a further 3.7 km with great views when you get to the top. There is a fun kids playground and also the Connemara ponies to see. Admission and parking are free, the park is open year-round with the Visitor Centre open from March to November. There are Tea Rooms by the Visitor Centre for light snacks and refreshments. Don’t Miss: The view of Kylemore Abbey from the top of Diamond Hill. Dún Aonghasa is one of Ireland’s most visited attractions. Located on the 300 ft cliff side or south side of Inismór, it is a semi circular stone fort overlooking the Atlantic with dramatic views that stretch the length of the Island. Exploring Dún Aonghasa requires a bit of climbing, and there is no rail at the edge of the cliff, so it may not be a good place to visit with small children or people with mobility problems. Most people who visit the island will hire a bike and cycle to Dún Aonghasa, 8 kms from the pier where the Aran Islands ferry comes in – there are bikes for kids, kids bike seats as well as buggies which attach to the back of an adult’s bike for smallies, so everyone is catered for. The ride to Dún Aonghasa is like cycling through an outdoor museum of ancient artefacts, villages, forts, lighthouses, and standing stones. Don’t Miss: A visit to Poll na bPéist (hole of worms/sea monsters), located at the southern coast of the island, which is a large naturally formed rectangular pool. 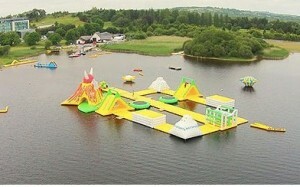 The Baysports Inflatable Water Park in Hodson Bay near Athlone is a giant inflatable island with its own jungles, towers, trampolines, slides, water based obstacle courses and even a castle. You can climb, jump, slide and splash into water, float on rafts, climb on the climbing frame, hamster wheels, viking rocker and splash fun to suit the young and young at heart. Wetsuits can be hired or you can bring your own. Don’t Miss: The 12.6 m high floating Round Tower slide. Funny Bones House of Fun is a large children’s activity centre based in Collooney, outside Sligo. Vertigo @ Funny Bones is a unique adventure zone for older children, Student and Corporate groups. Vertigo is a specially built 6 meter climbing wall and high ropes adventure course, and don’t miss out on the fun in their Hurricane. Go-Karting and Laser fun are also available. And for younger kids, there’s lots of fun at their soft play section. Don’t Miss: Vertigo High Ropes Adventure Course, not for the fainthearted! The Irish Raptor Research Centre at Eagles Flying in Ballymote, Co. Sligo is a scientifically managed sanctuary for Birds of Prey and Owls. Situated on 27 hectares, the sanctuary is home to about 350 birds and animals out of 75 species. During the highly entertaining and interactive Bird Shows you can experience Eagles, Hawks, Falcons, Vultures and Owls swooping right over your head or landing next to you. Some of them even allow to be touched – but ask one of the birds trainers before you do! You might even have the chance of a bird landing on your bare hand. Bird Shows start at 11 a.m. & 3 p.m every day lasting for approximately 60 minutes each. 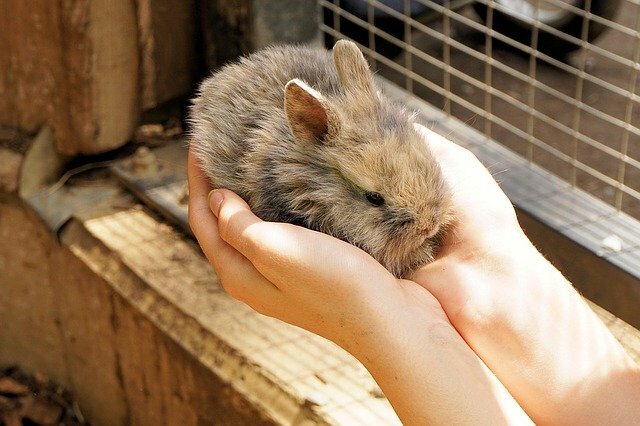 They also have a touch-zoo where you can pet goats, lambs, donkeys, horses, guinea pigs, rabbits, hedgehogs, ferrets, different pigs, raccoons and chinchillas. Don’t Miss: A trip to the touch zoo is a must. 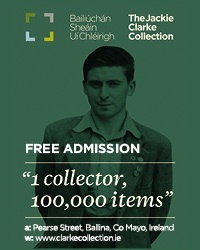 Located in Ballina, the Jackie Clarke Collection showcases one of the world’s leading collections of historical Irish material. Discover 400 years of Irish history through the self-guiding family friendly interactive touch screens. Discover something new about your family history by searching the in-house census and eviction records. Learn about Irish Native trees, organic vegetable gardening and the importance of our hedgerows in the Urban Walled Garden. Admission is FREE and you can enjoy lunch in cafe after your visit. Don’t Miss: The Memory Pod where you can record and share your stories and memories. 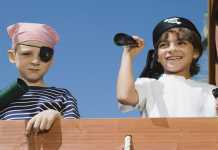 A family visit to the West is not complete without a trip to the home of family fun at the award winning Westport House & Pirate Adventure Park set on a 480 acre estate. Explore the House and Gardens, or have some fun in the Pirate Adventure Park – a treasure trove of family fun with its Grace O’Malley-themed amusement park with rides and activities. 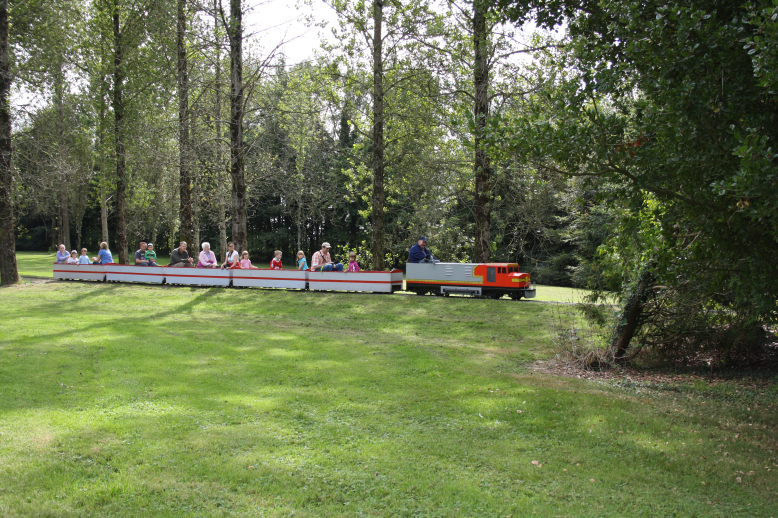 Or take a trip on the Westport Train Tour which runs right through the grounds. You also have a choice of milder to wilder adventure activities including zorbing, zip wire, archery, combat games, high ropes frame as well as tree climbing and archery tag. Be sure to arrive early for a full day’s fun – and dress for the weather! Enjoy a great day out for all the family at the Irish National Stud & Gardens in Kildare Town, Co. Kildare. Just off the M7 motorway and only 30 minutes by car from Dublin and the M50, the Irish National Stud offers an unforgettable experience in 800 acres of beautiful Kildare countryside that can be enjoyed by all the family. It is a unique attraction of outstanding natural beauty with some of the most magnificent horses and sumptuous gardens to be found anywhere in the world, including the beautiful Japanese Gardens and St Fiachra’s Garden. Be sure to tour the Horse Museum and explore the magical ‘fairy trail’ in the woodland area, and afterwards let the kids run off some steam at the playground. Don’t Miss: The Fairy Trail. Pick up a map on arrival and see how many friendly fairies you can spot! Don’t Miss: Great family-friendly events taking place in all the museums over the summer holidays. The Ark Dublin, on Eustace Street in Temple Bar, is a unique, purpose built, cultural centre where children aged 2-12 and their families can explore theatre, music, literature, art, film, dance and more. 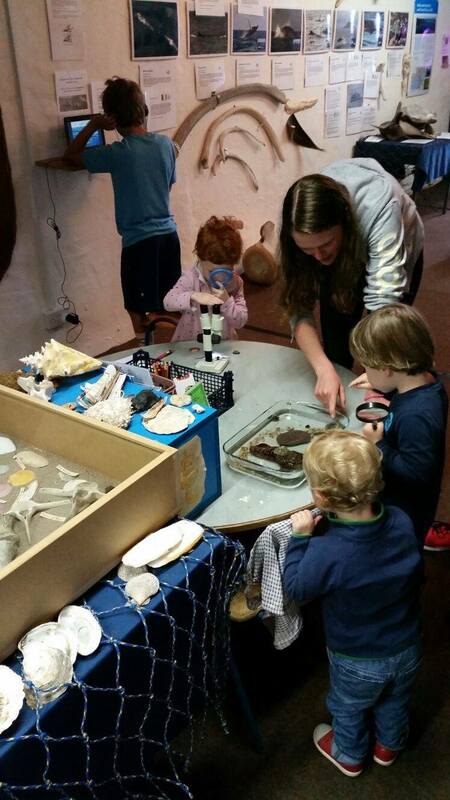 The Ark’s summer programme is always a big hit with families looking for creative and fun activities during the school holidays. This year’s programme Summer 2018 at The Ark runs from 1st July – 25th August 2018 and includes creative 5-day Summer Camps, day-long Circus Skills sessions and Visual Art Workshops. Plus the return of Fun Size Jazz! Don’t Miss: Ark Live on their website. 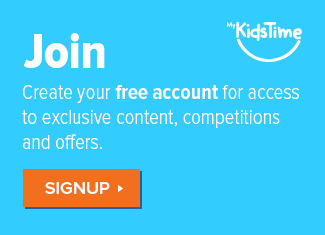 Full of creative ideas for you to try at home! Kids will adore Ireland’s largest tree house, and the play area, complete with bouncy pillow, picnic areas, sandpits – in fact you may find it hard to pry them away! There is also a lovely cafe on site. Don’t Miss: The Family Quest, pick up your quest sheet when you arrive and follow the clues! 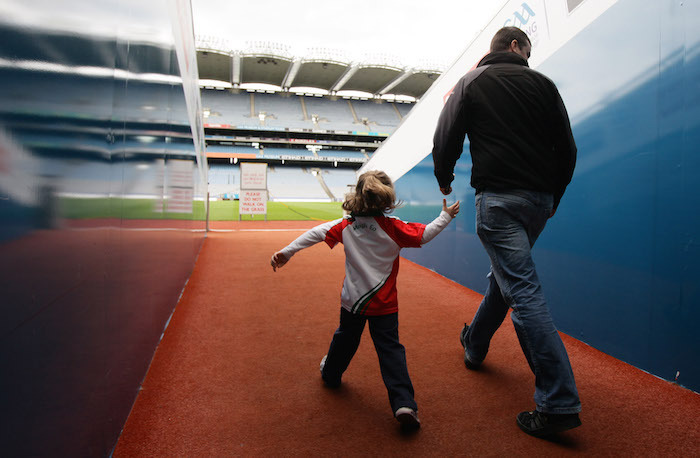 Explore the GAA Museum with its exhibition galleries that vividly illustrate the story of Gaelic games, from ancient times to present day. Exhibitions include the Sam Maguire and Liam MacCarthy Cups, the official GAA Hall of Fame, and lots more. Don’t Miss: Test your hurling and football skills in the interactive games zone – a must for museum visitors of all ages! Annual Membership available. Belvedere also has a year round calendar of events, this summer they have outdoor theatre – check out www.belvedere-house for more details. Don’t Miss: The Narnia Trail and the Fairy Garden! Powerscourt Estate, just 20km south of Dublin, offers a fantastic day out for families with a choice of attractions to visit. 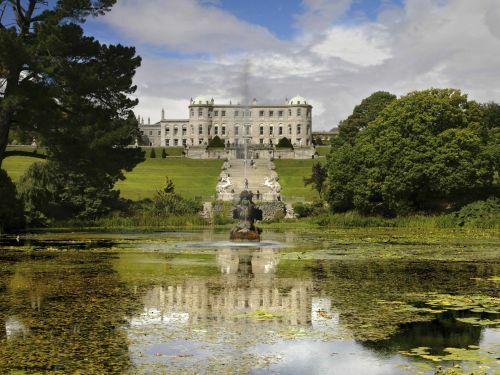 Experience one of the best views in Ireland at Powerscourt Gardens, featuring ornate Italian and Japanese Gardens where mum and dad can enjoy a romantic stroll to rambling, wooded walks where little ones can play hide and seek. Children love climbing the Pepper Pot Tower and posing for a picture with the cannons nearby. Enjoy the year-round events programme of treasure hunts, enchanted walks, bug hunt and lots more. Don’t miss: Powerscourt, the highest waterfall in Ireland, located 5 km from the main Estate where you can discover trees that are hundreds of years old such as the Giant Redwoods which grow up to 80m high! Don’t Miss: The Elf & Fairy Village! At Dublinia, travel back to Viking and Medieval Dublin, witness the sights, sounds and smells and unearth the city’s archaeology in the History Hunters exhibition! There’s a full programme of events taking place at weekends during the summer, including Family First Saturdays which includes Making a Viking Longship Magnet, and demonstrations. 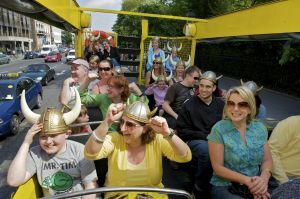 With Viking Dublin Tours, Medieval Dublin tours and lots more, there’s heaps for families to do at Dublinia. 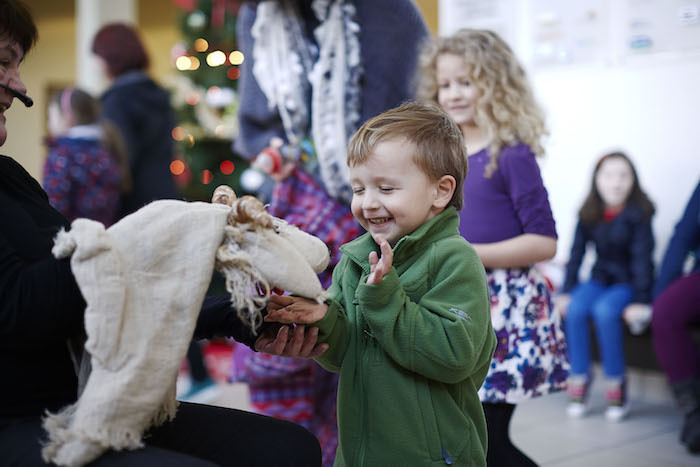 Don’t Miss: Family First Saturdays with fun workshops and more. 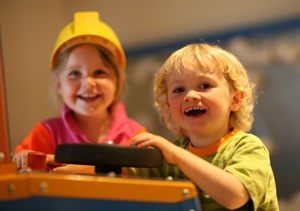 Imaginosity, Dublin Children’s Museum is a child-centred creative, educational & interactive space, suitable for children up to the age of 9 years & their families. The 3 floors of exhibits are educationally designed to inspire life-long learning through play, celebrating children’s imaginations, on the journey from curiosity to discovery. Booking is essential to guarantee entry, and museum will be open 7 days a week for July & August. They have a jam-packed summer schedule too, full of fun, to keep families entertained during July & August including in-house festivities and workshops, seasonal summer camps, and appearances at some of this summer’s big family events! Kids will love exploring the magical miniature world of Tara’s Palace Museum of Childhood at Powerscourt House. Each room in Tara’s Palace is furnished with miniature masterpieces, hand painted ceilings and hand crafted wooden and marble floors. 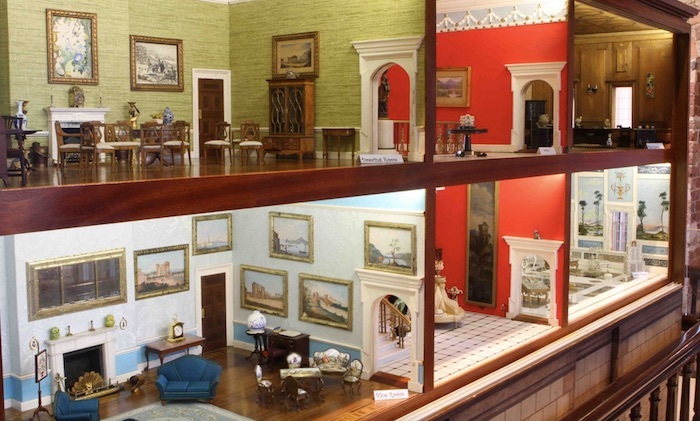 The museum is home to Ireland’s largest period dolls house, Tara’s Palace and contains hundreds of fascinating exhibits, including the amazing 17th century house in a bottle, the smallest doll in the world and a 300 year old doll’s house. 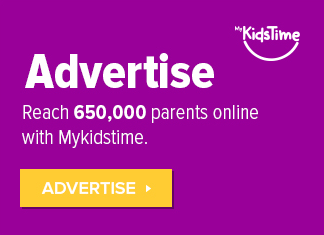 Perfect for all ages from 5 to 105! 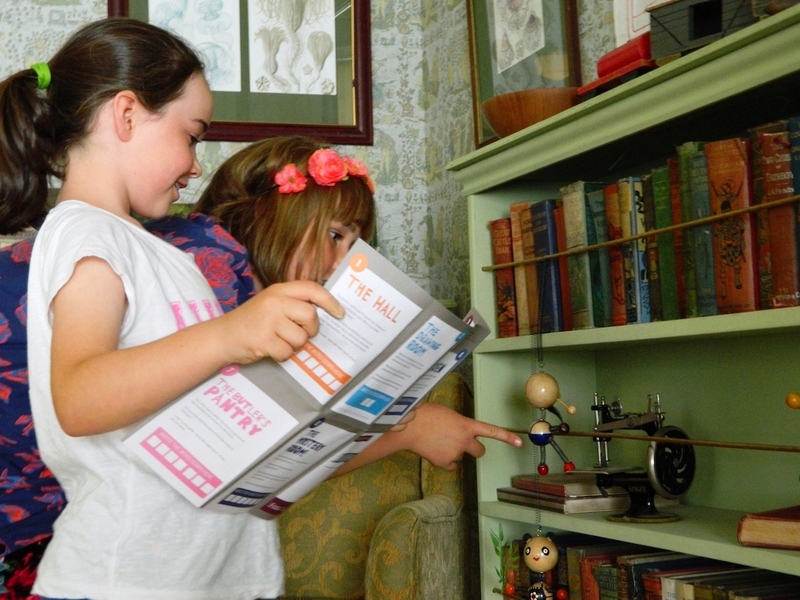 Don’t Miss: The interactive room for younger visitors and a Museum Quiz for all the family. Jump Zone is an indoor trampoline park, located in Stillorgan and Santry, Dublin, that adults and kids can enjoy (kids must be 5+ yrs). 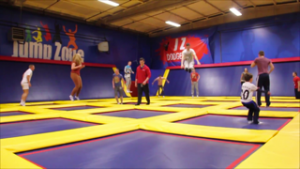 Jump Zone offers a number of trampoline activities including open jumping, trampoline Dodge ball, and trampoline Aerobics on its wall to wall trampolines. Don’t Miss: The Foam Zone to practice your tricks and flip, subject to availability. 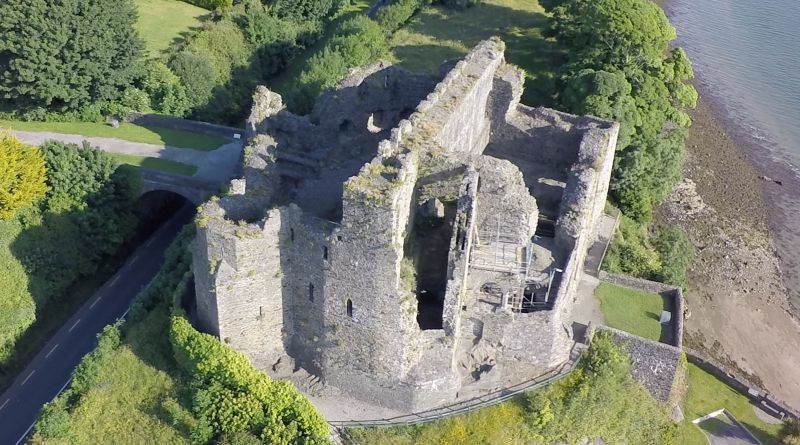 Take a guided tour of one of Ireland’s oldest castles, dating back to the 12th Century, and learn the fascinating & colourful history behind the Talbot Family who owned Malahide Castle for nearly 800 years! Don’t get spooked in Puck’s corner though! The Malahide Walled Botanical Garden & Exhibition is perfect for little explorers with 7 glasshouses, 5000 species of plants, a grass parterre and lots of wild life roaming happily. Be sure to take your picture beside some of the oldest trees on the Malahide Castle demesne West Lawn. With 22 acres to explore it might be worth bringing your picnic and a flask! 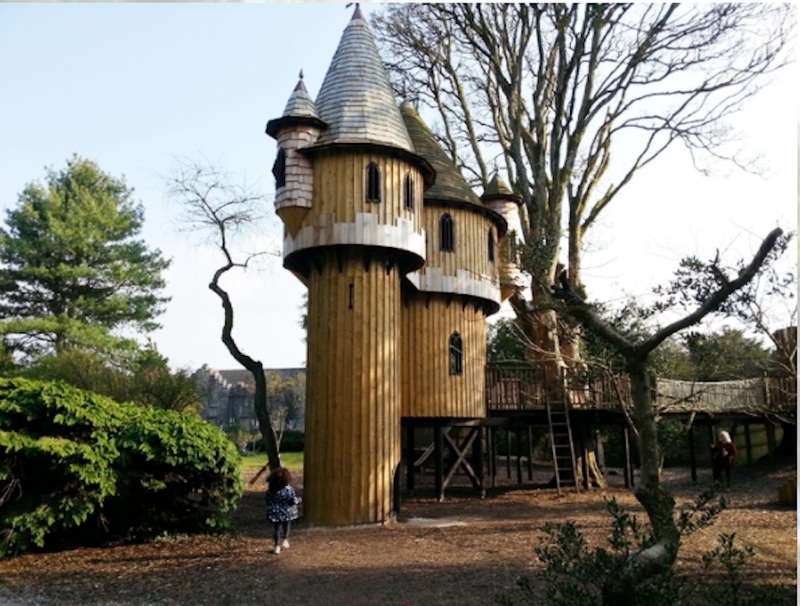 Don’t Miss: The state of the art playground at Malahide Castle is located just 2 minutes from the Visitor Centre and has plenty of apparatus for the very little ones and the not so little ones to enjoy. The farm, gardens, café and heritage experience at Airfield Estate offers visitors a wonderful opportunity to enjoy and learn about food, farming and the natural work in the unique and relaxed 38 acre urban environment in Dundrum. Learn about the workings of the farm from daily milkings, to egg collecting, mucking out and feeding, and there are lots of play areas for kids including the Grey Barn soft play area for under 4’s, and the interactive Naturescape play area for 4-12 yrs in the woodland area. Relax afterwards in the lovely Overends restaurant. There are interactive summer camps and workshops for kids, so check what’s on before you visit. Don’t Miss: The vintage car collection. 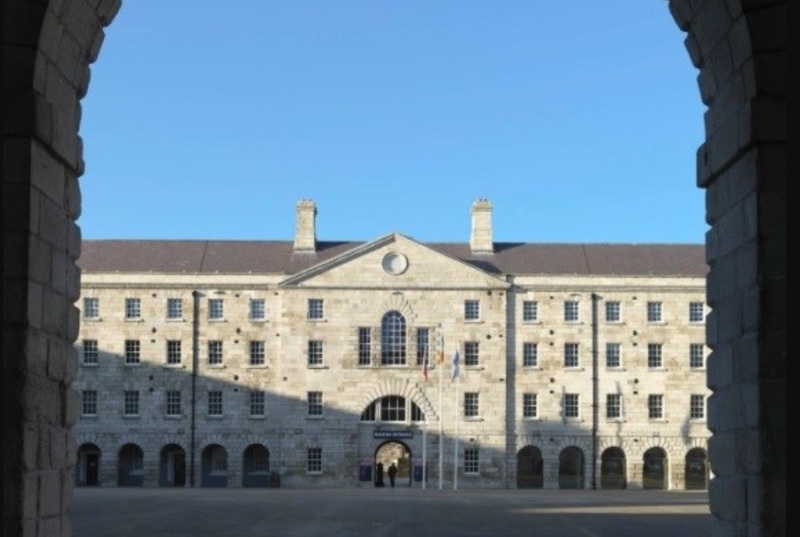 The Irish Museum of Modern Art (IMMA), home to the national collection of modern and contemporary art, is housed in the Royal Hospital Kilmainham, the finest 17th-century building in Ireland. Admission is free. IMMA has a broad range of family programmes to engage audiences of all ages with drop in Family Workshops where children and grown-ups can enjoy visiting an exhibition and making artworks together in the gallery. Family workshops take place on Thursday and Friday mornings in the summer months- just drop into the main IMMA reception at 10 am to join. Don’t Miss: The fabulous gardens with the huge maze. 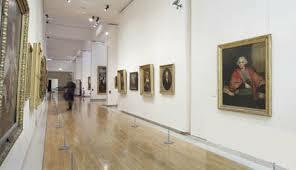 The National Gallery of Ireland is located in the heart of Dublin, and holds the national collection of European and Irish fine art. Admission is free, and the Gallery offers plenty for children and adults alike. Pick up a free Family Pack with paper, pencils, discovery trails and activity sheets at the Information Desk in the Millennium Wing. They also have free audio guides, suitable for children aged 6-10. 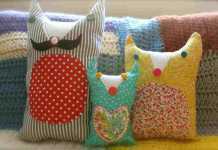 And during the summer months look out for fun workshops for families. Don’t Miss: The drop-in creative spaces where children can draw and colour to their hearts content – they’re always well stocked with activity sheets and colouring pencils, and the children can then hang their art for all to admire. Viking Splash Tours is Ireland’s only tour company that shows you the sights of Dublin on both land and water, without having to leave the vehicle! Take a trip on their World War II amphibious DUKWS as they bring you on a fun filled tour through the streets of the capital with engaging Viking captains, before splashing down in Grand Canal Dock! Please note children must be aged 3 or over to travel on the water section of the tour. Don’t Miss: Wearing your Viking Hat! Experienced guides will bring you on a voyage of discovery at the National Maritime Museum, enthralling you with stories of discovery, heroism, war and disasters at sea. You will learn about maritime history, exploration, navigation, radio, deep-sea cable technology, nature, wildlife and view art inspired by the sea. See the 10-tonne revolving Baily Optic, try the electrified steam engine, and pause to reflect at the Titanic exhibit, the re-created radio room, the Royal Navy prisoners docks and the war memorial. Try your hand at sailor’s knots, or learn how they lift heavy weights. Afterwards visit the shop and café for a treat. Don’t Miss: Being photographed with the pirate! EPIC Ireland tells the story of the Irish diaspora. Using the latest interactive technology, you can follow the story of 78 million people and 10 million journeys, through the themes of migration, influence, motivation and connection. Children and adults alike, will be wowed by the interactive nature of the displays. This is an epic way to learn about great Irish influencers, from authors to scientists, and business people to sports men and women. Don’t Miss: Getting your passport stamped throughout the tour and sending it as a virtual postcard. One of South Dublin County’s cultural highlights, The Round Tower Clondalkin is one of only four remaining round towers in County Dublin. The Visitor Centre provides the perfect FREE family day out, as it brings the story of The Round Tower Clondalkin and the surrounding area to life through an exciting interactive experience. The fun and educational exhibition can be enjoyed through eight distinctive themed spaces in the refurbished 19th century Mill Cottages. Suitable for all ages, The Round Tower Clondalkin experience incorporates public gardens, and an exhibition and gallery space. Nearby Corkagh Park is a wonderful place to visit with children. Attractions include sports fields, nature walks, playgrounds, pet farm, fishing lake, arboretum and a duck pond but the real highlight is the Fairy Trail through the magical Fairy Wood. Don’t Miss: The Happy Pear onsite café where tasty healthy food meets famously friendly service. Dine indoors or outdoors during the warmer months, where the scenic café gardens are in full view. 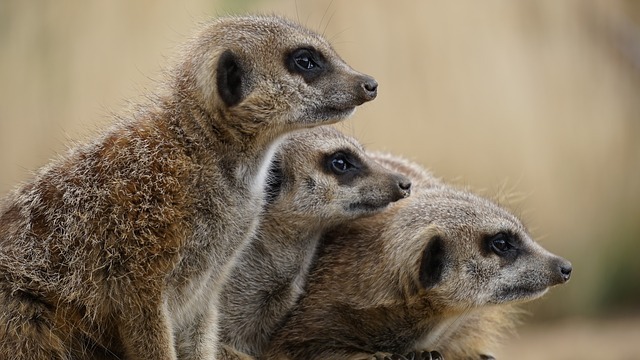 Dublin Zoo is much more than a fun-filled, stimulating day out for all the family… it’s a place to learn about wild animals, especially those which are endangered. 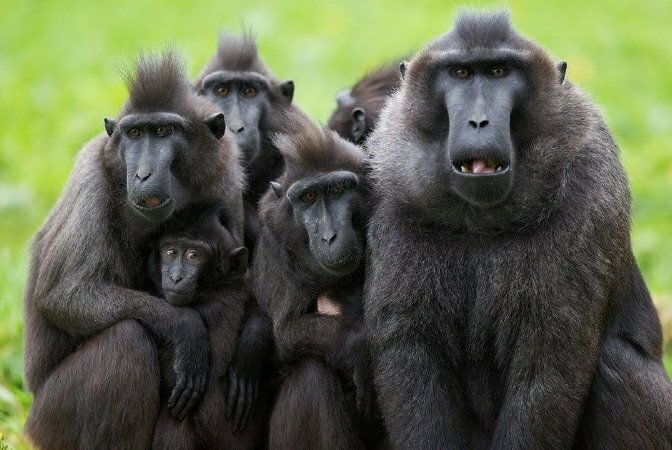 The Zoo is a registered charity, so your visit will help maintain Dublin Zoo to a high standard, improve the Zoo and contribute to conservation programmes. 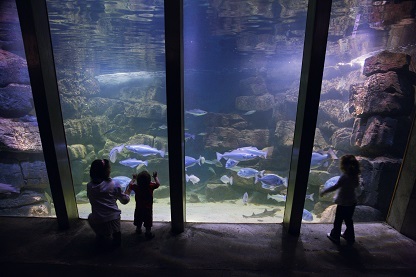 As one of the world’s oldest, yet popular zoos, the 28 hectare park in the heart of Dublin is home to some 400 animals, and where education and conservation combine for an exciting an unforgettable experience! Wells House and Gardens has a state of the art playground, picnic area, a 3D Archery Course, an animal farm, falconry and woods with fairies and sculptures. In addition you may come face to face with trolls, fairies and a few bugs who have checked into the Bug Hotel. The facility is open year round and there is a charge of €8 per car, payable on exit..
Don’t Miss: Taking a stroll through the deep, dark woods where they will come face to face with the elusive Gruffalo. Be warned, he is life sized! 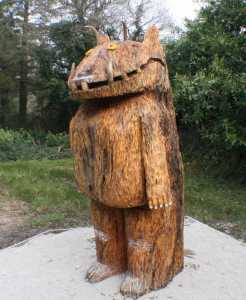 Mouse is also there, along with other wood carvings created by owner, Uli Roesier. Over 5000 items are displayed over 3 floors. Entry to the museum is by guided tour only, so book online to be sure of entry. Kids will really enjoy exploring the interactive artefacts. 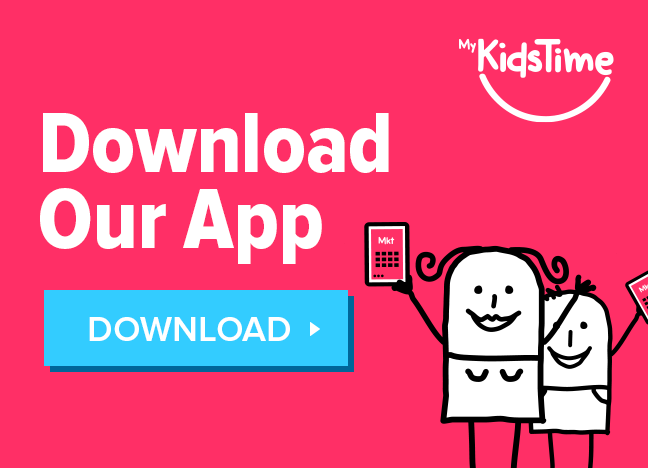 Don’t Miss: The kids worksheets that are available for kids of all ages. 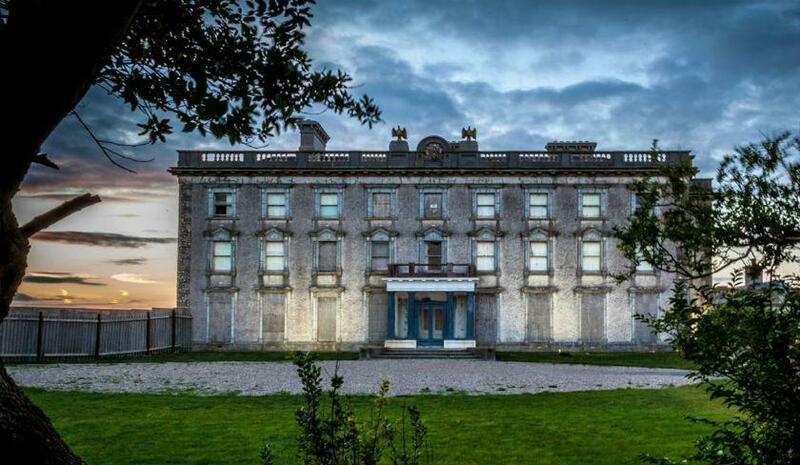 Head to Killruddery House & Gardens for a fun day out for all the family. Take a leisurely walk through the gardens, enjoy a picnic in the walled garden with the sandpit and the tyre dragon, or visit on the great feature days like their ‘Teddy Bears Picnic’ and ‘Fairytale Tale Day’. There are also guided tours of the house available. Check what’s on for your visit. 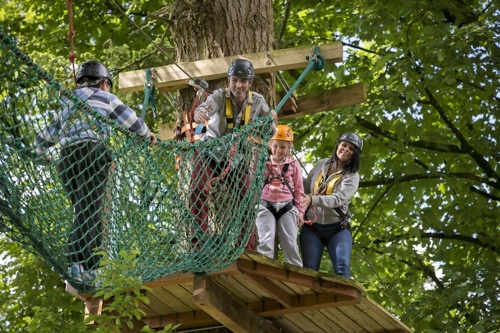 Don’t Miss: The Squirrel’s Scramble tree adventure park with zip wires and 40 different challenges on 4 height levels, for lots more fun outdoor adventure. 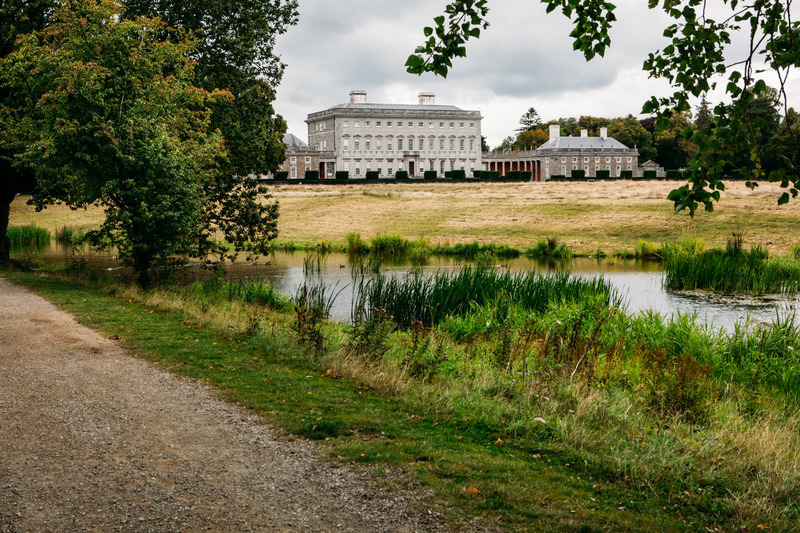 Russborough House & Parklands in Wicklow has plenty to keep families amused indoors and out. Starting with the House itself, for families with an interest in history and art you can take a House Tour. Russborough have just announced that after over 100 years some of the British & European Masters and furnishings have returned to Russborough so you can see these works in the rooms for which they were commissioned or purchased by the Earls of Milltown in the 18th & 19th centuries. 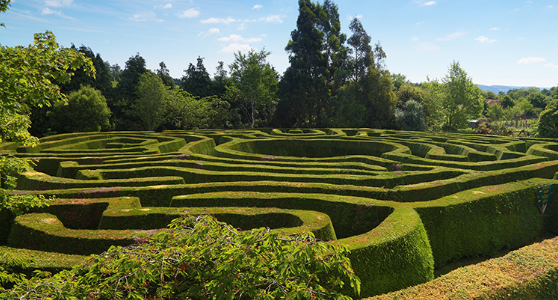 Then visit the 2000 metre beech hedge maze. A statue of Cupid stands at the centre of the maze to help you puzzle your way in but will you find your way back out again? There’s a fantastic playground with a picnic area alongside, and a Fairy Walk through their woodlands and out to Lady’s Island. Kids can pick up a brochure from reception and learn all about the fairies’ adventures. There is a restaurant and gift shop. Don’t miss: the National Birds of Prey Experience is also on site at Russborough House for those who want to do a fun extra activity. 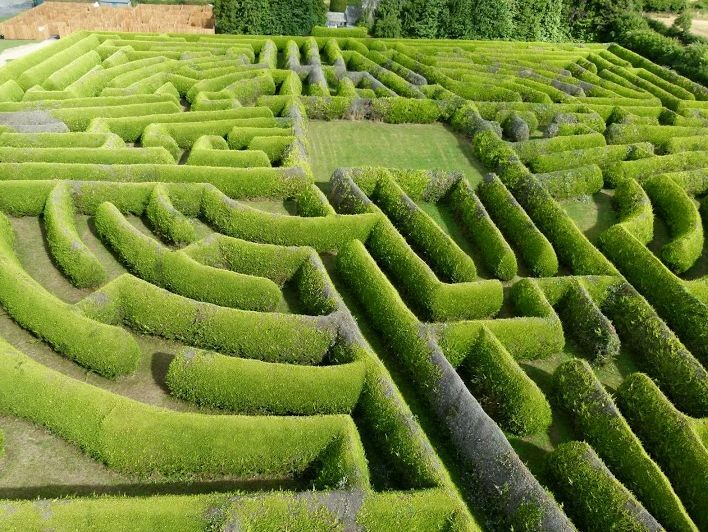 For another “amazing” experience in Wicklow, head to Greenan Maze where you’ll find a large 1/2 acre Celtic hedge maze on a working farm, which is 7 feet tall and a tricky puzzle to solve, so the kids will love it. Afterwards, enjoy the farm animals and then take the beautiful wild nature walk that leads down by a stream to the ponds to spot some dragonflies. The Dragonfly Walk is a raised wooden walkway leading through native woods and wetlands and has three ponds with raised viewing platforms. There’s a cafe with good coffee on site (for Mums and Dads)! Don’t Miss: The solstice maze, a more gentle contemplative experience for adults and toddlers. Secret Valley Wildlife Park, Wexford, has fourteen acres of fun-filled adventures from bottle-feeding the hungry kid goats, and meeting the resident insects and snakes, to riding Snowball the pony. Hop on board the quad train, or try your luck at the welly-throwing and obstacle course – you’re sure of a fun family day out here. Don’t miss: The lovely lemurs, Roxy, Lenny and Penny! The most haunted house in Ireland Loftus Hall, also on the Hook Head peninsula, is worth a visit with older kids (8+ yrs) up for a fright! Originally built in 1350, the house remains in its abandoned state since the departure of the last owner, and is a gaunt, severe-looking mansion that is said to be haunted by the devil himself. There is also a pleasant cafe on-site, a private beach you can walk down to, and their walled gardens are host to a fairy trail. Don’t Miss: The tours run by a “devil’s apprentice” that are full of scary stories. Standing on the tip of the peninsula is the oldest intact operational lighthouse in the world. Monks were the first keepers of the lighthouse, built 800 years ago. Take the guided tour, and climb the 115 winding steps where the monks heaved sacks of coal upwards for panoramic sea views. Explore the surrounding rock pools outside, relax in the cafe, or have a picnic outside and enjoy the outdoor games. Don’t Miss: Spotting the fossils in the limestone rocks on the Head. The Irish National Heritage Park, Ferrycarrig offers a unique perspective on the past. Explore the unique fen woodland, pan for gold, wattle your own house, draw rock art, row your own coracle boat, try archery and spear throwing and join the Big Dig. 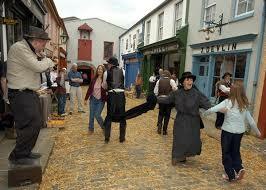 There’s plenty of Family Fun at the Irish National Heritage Park too. Scattered around the Park, the family will find a series of Have a go! interactive challenges. The children will have to try and move a megalithic, carve some rock art, weave a wattle house and even pan for gold! If the children complete the tasks and bring back a piece of gold to the reception desk, they will get a certificate of merit. The kids will love the two adventure playgrounds too with a wide range of climbing frames and ropes. Don’t Miss: The chance for the ultimate sleepover. 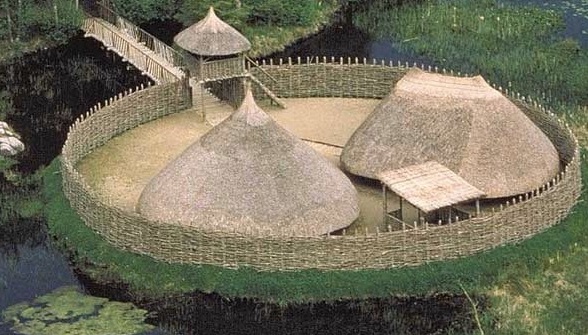 You can stay in a perfect replica of a 1,500 year old Irish ringfort, living as our ancestors did for a night or two. The John F. Kennedy Arboretum near New Ross, has lovely walks and great trees. Feed ducks by the pond and watch the fish dart about. This is a good place to bring the bikes as small legs will get around more easily! There’s also a miniature railway, and the playground has plenty of picnic tables, a cafe, a small maze, and a great slide! 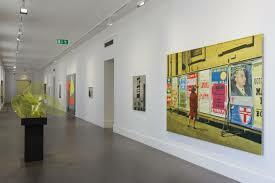 Drop into the centre and take a look at the exhibitions. Don’t Miss: The house grown out of hedging! For a fun day out visit Kia Ora Mini Farm, where children can interact with, hold and feed, animals of the usual farmyard variety. There are some more exotic animals too, like llamas, emus, alpacas, pot bellied pigs, chinchillas. parrots, Scottish highland, Kerry cows etc. There’s plenty of other entertainment too including sandpits, a football pitch, a rough rider track, and a convoy of ride on tractors. Bring a picnic or enjoy the delicious home-baked goodies at the coffee-shop. Don’t Miss: Taking a drive and having a singalong in the genuine fire engine. For something unique, visit Lough Boora Discovery Park, one of the most important Mesolithic sites in Ireland – go to the site of the ancient settlement by following the Mesolithic Route. The Discovery Park consists of a magnificent collection of natural & man-made lakes, wetlands, walkways and walking trails, a fairy trail, sculptures, picnic benches, cycle tracks, angling, bird watching and a bike hire facility. Guided tours also available. Don’t Miss: The sculptures throughout the parklands which you can explore using the free programme that you can pick up at the visitor centre. 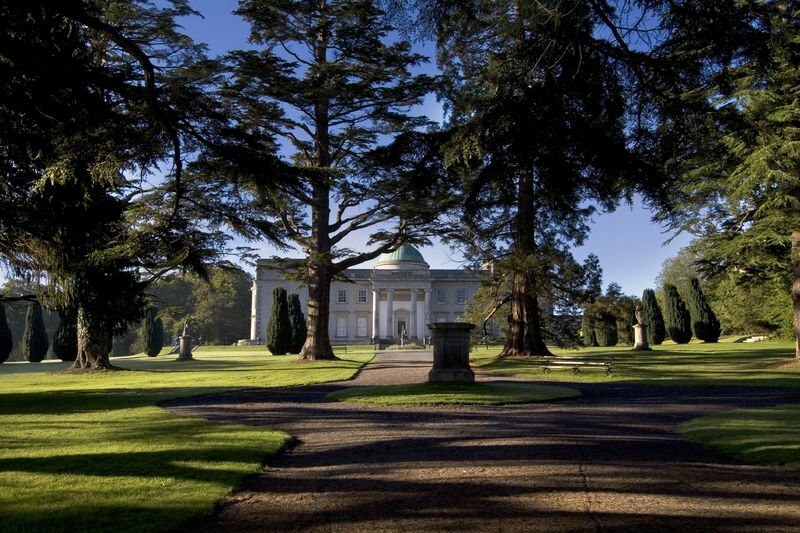 Emo Court, near Emo village, Laois, was designed by the architect James Gandon in 1790 for the Earls of Portarlington and is a magnificent example of this neo-classical style. The house, which is accessible by guided tour only, is surrounded by beautiful gardens and parkland which were first laid out in the 18th century and contain formal lawns, a lake and woodland walks with many very fine trees and shrubs. The gardens are open all year and entry to the gardens is free. The tearooms in the walled garden are worth a visit. Don’t Miss: The 2.2km walking loop of the 20 acre man made lake, which includes foot bridges and pathways. The first, and largest Palladian manor in Ireland, Castletown House, built for William Conolly, is an awesome sight. You and the kids will enjoy the Self-Guided Nature Trail, where you can explore the wildflower meadow, cross a ha-ha or sunken fence on their way to the garden temple or make your way to the river Liffey at the bottom of the meadow. Open from March to October, there are tours of the house daily – admission price applies. The Kildare Maze, located just outside Prosperous in the North Kildare countryside, provides a challenging and exciting day out in the fresh air, with good old fashioned fun for families at an affordable price. 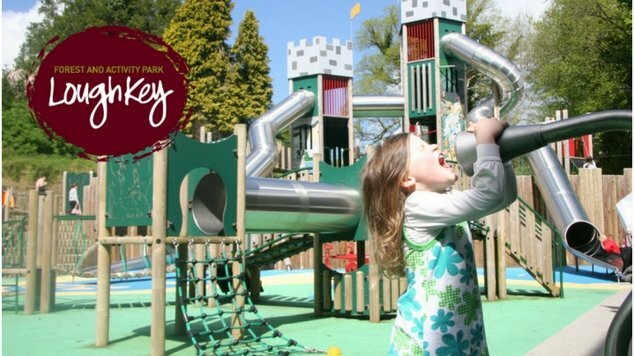 With 2 mazes, crazy golf, playground with zip line, assault course, and oodles of space to run around, there’s plenty to entertain the whole family here. 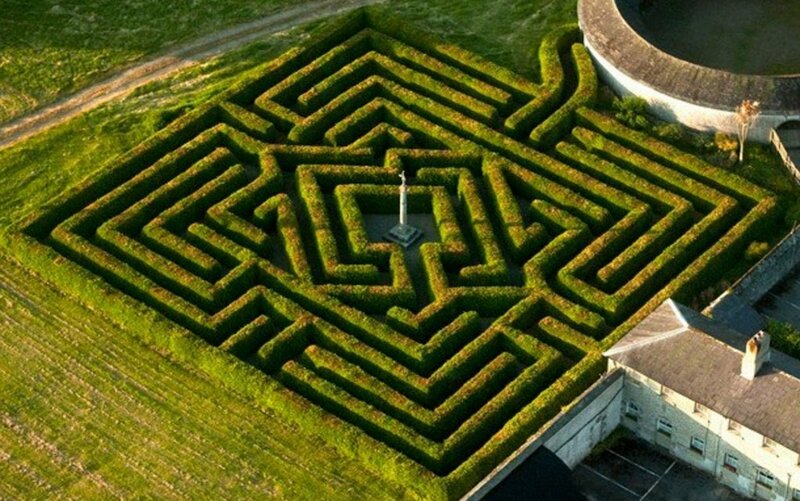 The hedge maze was grown to mark the Millennium and is designed in the shape of a St. Brigid’s Cross. It covers approximately 1.5 acres with more than 1.5 miles of paths, with hedges over 6 feet high. Don’t Miss: The farm animals on the way in! Located within the Newbridge Silverware Visitor Centre, the Museum of Style Icons hosts numerous collections and artefacts relating to Stars of the Silver Screen and many modern day artists – including Audrey Hepburn, Marilyn Monroe, Princess Grace, Princess Diana, Michael Jackson, Michael Flatley, the Beatles and many more. Now rated as one of the top 5 free tourist attractions in Ireland, the Museum regularly hosts visiting collections from around the globe and admission is free. There are guided tours available daily also, with u12s free with an adult (booking required). Don’t Miss: Tasty lunch or treats in the Silver café. Wallaby Woods offers a great day out for explorers of all ages. Our nature trails and woodland walks are a great interactive nature and animal experience, with many rare breeds of flora and fauna to be discovered over 1.5 km of beautiful walkways. After a long day of exploring you can enjoy a BBQ with the family, or have a relaxing coffee in our coffee shop. You can also pitch your tent for a night or two and enjoy leisurely walks, playgrounds and interact with animals. 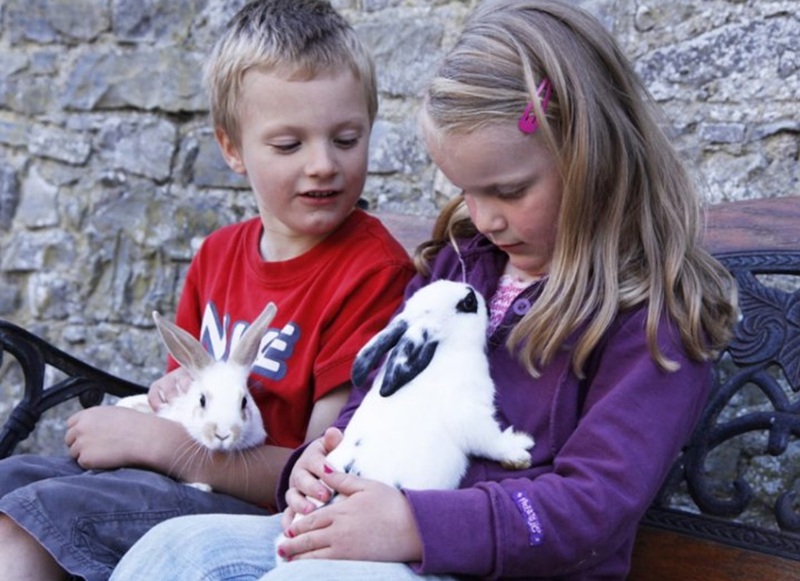 Don’t Miss: The interactive petting area with rabbits, guinea pigs, parrot, pigs, and snakes. The Spire of Lloyd in Kells is an inland lighthouse designed by Henry Aaron Baker (designer of the King’s Inn, Dublin) for the First Earl of Bective in memory of his father Sir Thomas Taylor in 1791. 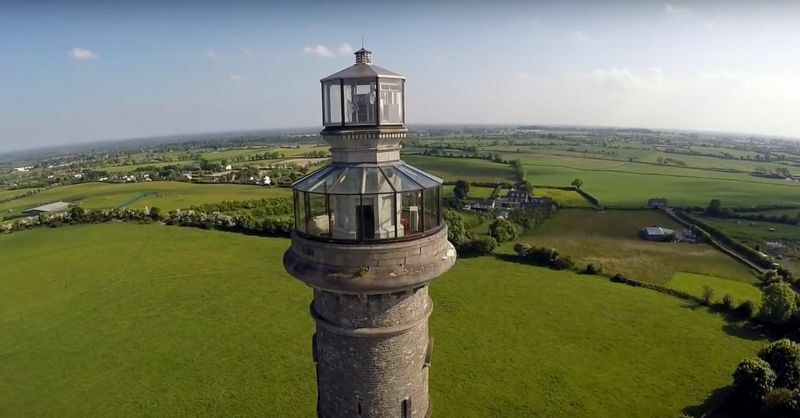 At 30m high, one can see magnificent views of the surrounding countryside as far as the Mourne Mountains in County Down, Northern Ireland on a clear day. The Spire was used to view horse racing and the hunt in the 19th century. It is open on selected dates during the summer. Don’t Miss: The “Paupers Graveyard” in the community park (The People’s Park) in which many victims of the mid-19th century famine lie buried. Loughcrew Gardens are a breathtaking spectacle from 17th and 19th century landscape and pleasure gardens. Within the gardens stand a medieval motte and St. Oliver Plunkett’s family church and Tower House. There is also a longer lake walk around Lough Creeve with beautiful scenery to be taken in along the way, as it goes right past Loughcrew House. With extra treats along the way as the walk itself takes in different forest and rockery walks and also has a fairy ring. This walk starts and finishes at the Limetree Coffee Shop. There’s also a fun fairy trail the kids will love, they get to follow the activity bookletand ma through the Gardens, solving clues and answering questions in treasure hunt style. Don’t Miss: A visit to Loughcrew Cairns to see the amazing megalithic structures. Tayto Park Theme Park & Zoo has plenty to offer all the family for a fun day out, with over 100 attractions in the theme park & zoo. Learn about a host of different animals from Rabbits to Meerkats to Amur Tigers. 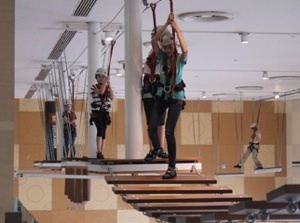 Test yourself on the Tayto Sky Walk High Ropes Course and the Ziplines. Bounce, climb and mine in the Geronimo Thrill Zone. A visit to the park would not be complete without learning the secrets of Tayto crisp making on the Factory Tour. The park has plenty of Cafes, Shops and Picnic Areas. And then if you dare, take a ride on Europe’s largest wooden rollercoaster, The Cú Chulainn Coaster. Don’t Miss: A trip through the Vortex Tunnel for a truly head spinning experience! From fishing to heritage Rathbeggan Lakes has it all. Families can enjoy a visit to Fun Valley with inflatables, mini Land Rover rides and a Water Pistol Zone. Or take time out to enjoy a spot of fishing in the well stocked lake. Bait and rods can be hired on-site if you have not got your own. For history buffs you can take a step back in time to the Stone Age with a guided tour around the stone age camp, Crannóg, stone circle, passage grave, dolmen, ring fort and much more. There really is something to suit all tastes and ages here. Don’t Miss: High Kings Adventure Tower for a thrilling adrenaline-fuelled adventure. The Gardens at Tullynally Castle and the castle itself date back over 350 years. Take the main path to the walled Flower Garden and visit the llamas and the stone “Nandi” (sacred Indian bulls) next door, or take the path to the Grotto with fantastic carvings by a local artist. Walk the Forest Walk to the Chinese garden and onto the Lower Lake to see the pair of resident swans. Everywhere you will find superb trees and views – and pretty ornamental summer houses to rest in. Tree enthusiasts will love the special Tree Trail, and children will enjoy exploring the exciting Treasure Trail. After exploring the gardens, return to the sunny Tearoom in the Castle Courtyard which offers teas, coffee and delicious homemade food throughout the day. Don’t Miss: The splendid family coach on display. The Amenity & Heritage Park at Dún na Sí is a community park for all, encompassing ecology, arts, education and play. Meet the ancient Irish warrior Lugh who with his magic spear, stands guard over Dún na Sí. Visit an old farmhouse, blacksmith’s forge. 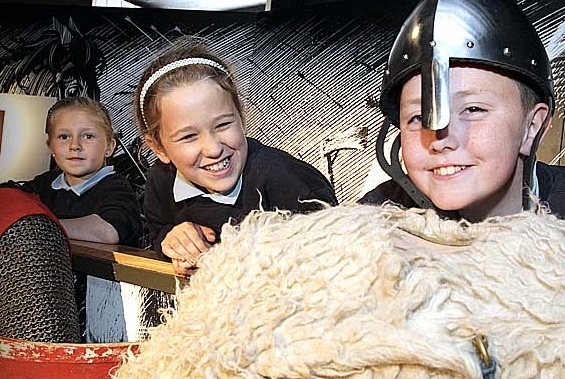 fisherman’s cottage and hedge school to discover how rural communities lived in times past. Explore Irish music at ‘Scéal An Tradisiúin’ which is a unique exhibition that tells the story of Traditional Irish Music, Song and Dance. Enjoy a walk through planted parklands and a wetland reserve which is home to native wildlife species. Discover the lovely art in the park, all made from recycled and natural materials by students from local schools who work with artists to enhance the visitor experience of the park. A fully equipped children’s playground is situated next to the Catoca Café which serves coffee and lunch. Don’t miss: The disappearing Turlough at Dún na Sí Amenity Park which appears in the winter then disappears for the summer months. There are self guiding walks through the parkland and battlesite, with partial access for people with disabilities. Don’t Miss: Free entry on the 1st Wednesday of every month. Carlingford has so much to offer and is a wonderful village to wander about. Kids will enjoy the long pier and exploring the ruined castle on the hill overlooking the lough, while the village also has a good playground. Take a visit to the Leprechaun & Fairy Cavern and meet the Leprechaun Whisperer, who has built an underground cavern to connect with two old tunnels, one linking with the fairy glen in Rostrevor Co. Down, and the other with Foy mountain and the home of Ireland’s last remaining 236 leprechauns. 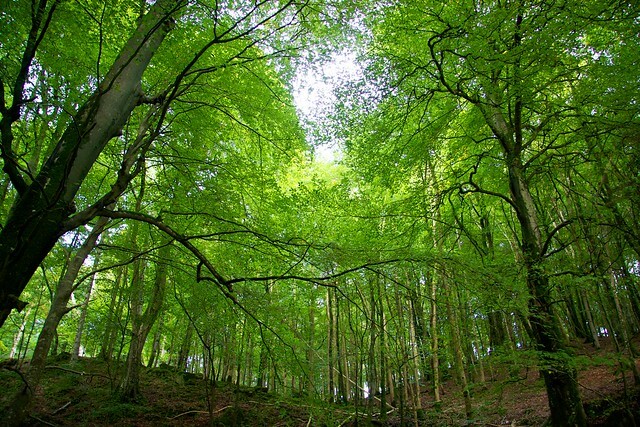 Round off your visit with a trip to Slieve Foy Woods, which is located 3.5km from Carlingford (on the left hand side) on the road to Omeath/Newry. There are two car parks, lots of picnic areas and beautiful panoramic views of Slieve Foye mountain and the Lough. Ravensdale Forest, 8 km north of Dundalk, has a picnic area and 3 marked trails in the forest, the Tain Trail, the Ring of Gullion and the short but interesting Ravensdale Loop. The forest is rich in archaeological features such as the standing stones just a short detour off the Ravensdale Loop, and has many interesting features such as bridges and old driving roads. More than just a theatre, glór sits in the heart of Ennis town in Co. Clare and offers ample parking for visitors. They attract the best of local, national and International entertainment for all ages. And have a full line up of family fun and regular events including films, music, dance and theatre performances, classes and workshops. They also boast an art gallery and an on-site café with freshly cooked food with seating indoors and outdoors so you can enjoy your visit whatever the weather. And we love their BYOK (Bring Your Own Kids) where well behaved kids can avail of discounted tickets and come along to shows with their parents! Saving you money on a babysitter. Don’t Miss: The World’s Tallest Chair and the fresh Pizza Vending Machine in the lobby! The busy Castle courtyard is home to a medieval campaign tent, a blacksmith’s forge and scenes from a 17th century siege. An array of colourful characters, reveal the secrets and scandals of castle life. Not to be missed!!! Read what Jill and her family thought of King John’s Castle. Don’t Miss: The Audio Visual Characters from the past that talk to you! a restored Tower House Castle, where you can climb up the winding stairs and into the different rooms. The Crannog, where you can meet actors who renact and tell stories of how the Celts lived in Iron & Early Christian periods, what they did for hunting, how the bards were important, how battles might have taken place, how society was run. Follow the trail past the Iron Age Field, Iron Age Road (with a section brought over from an original Iron Age bog road Corlea), and visit the Ringfort. Complete your visit with a Woodland Walk back to the café and shop for some refreshment. Don’t miss: The annual Lughnasa Festival held in August, in honour of the Celtic God Lugh of the Tuatha de Danann, God of arts and crafts, which marks the start of the harvest season. The gardens at Bunratty Folk Park have been restored to their former glory. The gardens are modeled on the original Regency period garden which supplied fruit, vegetables, and flowers to Bunratty House (built in 1804) and are refurbished in typical Victorian style. This is your opportunity to experience one of the great gardens of Ireland. Don’t Miss: The adventure playground full of fantastic play equipment! And after all that fun you can refresh yourselves in the Bakestone Cafe. The Titanic Experience, Cobh tells the story of a legend and her connection to Cobh. Situated in the original offices of The White Star Line, retrace the footsteps of the 123 Queenstown Passengers who boarded Titanic from Cobh. Upon check-in at the White Star Line Ticket Office you will receive your boarding card. Your boarding card will have the details of one of the 123 passengers who came to the White Star Line Ticket Office on Thursday April 11th 1912. After check-in, experience life on board through the innovative audio visual technology, and replica set designs and discover the facts surrounding the tragic sinking of Titanic. 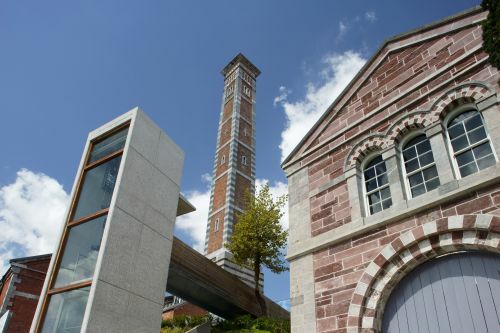 Old Cork Waterworks (formerly Lifetime Lab) is a multi award winning visitor centre offering a fascinating insight into industrial heritage and environmental issues. Visitors journey through Victorian architecture and explore the age of steam, investigate the interactive exhibits and transform into environmental detectives discovering how daily choices impact our world. Suitable for all ages. Make sure to allow time for the playground and garden overlooking the River Lee. Don’t Miss: Visiting the multi sensory 360 experience charting the development of the former Victorian waterworks in tandem with the development of Cork City. See a Kangaroo hop in front of you or get close to a Ring-tailed Lemur! 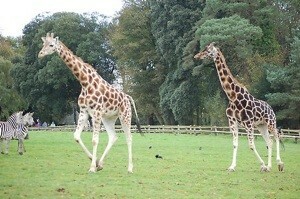 Fota Wildlife Park is only 20 mins from Cork and is a great day out for all the family. 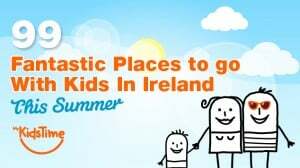 Only 20 mins from Cork city, the Park is a great day out for all the family whether you’re seeking outdoor activities in the summer, holiday camps for kids, or you simply want to take advantage of some sunny weekend eather. Don’t Miss: Seeing the Asian lions and tigers. 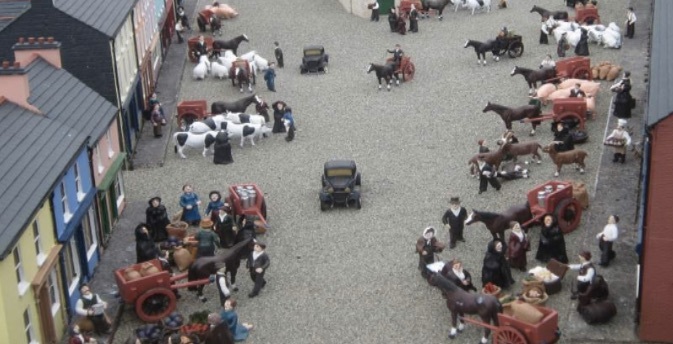 West Cork Model Railway Village, in Clonakilty, is where visitors can enjoy a look at the West Cork of the 1940’s brought to life with tiny handmade figurines and a miniature version of the West Cork railway line along with small scale houses and businesses depicted in a market day scene. 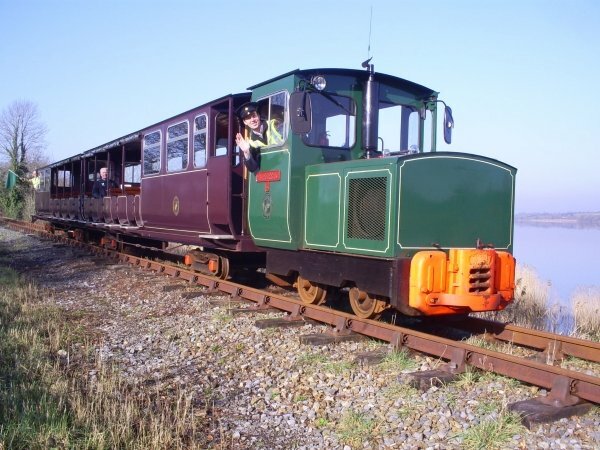 During the summer months, you can also hop on board the Choo Choo Road Train for a unique way to see the lovely village of Clonakilty. Don’t Miss: Getting a 10% discount when you book in advance online. 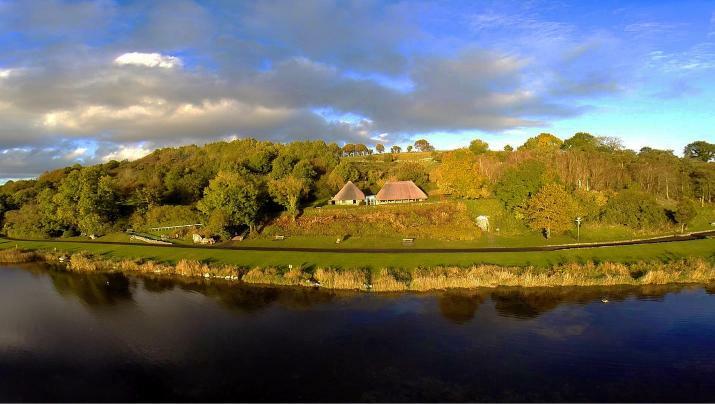 Lough Gur is a magical and mysterious place that is rich in folklore along with a wealth of archaeology and history dating back to Stone Age times. 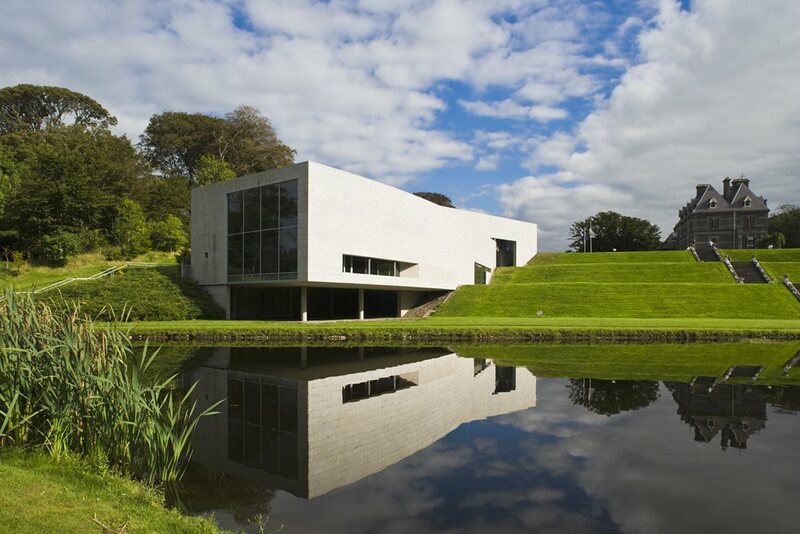 The Heritage Centre provides a fascinating interpretation of the sites associated with Lough Gur. At the Heritage Centre you will find interactive exhibitions with touch screens. There’s a fully guided tour and also audio guides and outdoor acoustic guides to help you enjoy your visit. For children there’s an activity sheet, dressing up, and a neolithic pot building section. Don’t Miss: The Archaeology Dig where kids can try out some digging! The magic of rail’s golden age has been brought to life in Kilmeadan on the Waterford & Suir Valley Railway. Experience the beauty of the Suir Valley from a partially opened carriage as you take in the panoramic views of the river and rolling farmland of Waterford and across the river to County Kilkenny on a 40 minute return trip and 1 hour return trips on Saturdays. 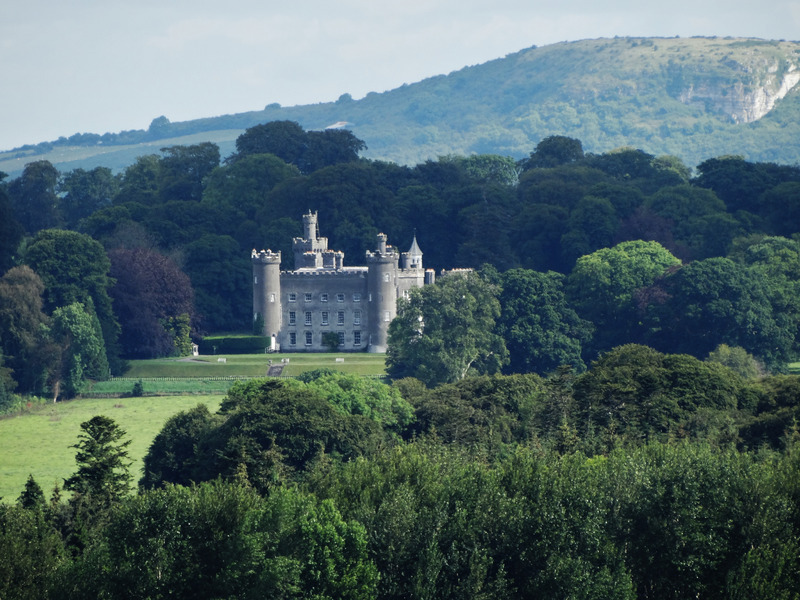 The track runs mostly along the picturesque banks of the River Suir offering a glimpse into the world famous Mount Congreve Gardens and across the river to County Kilkenny. You will also see The Magic Wood, a magical Fairy glade, where the fairies come out to play and enjoy the sunshine during the day and at night they curl up to sleep in their little houses. Sometimes they can be seen among the trees but you have to look carefully! 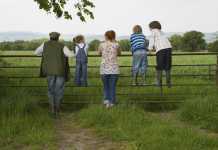 Don’t Miss: The Family Fun Events every Wednesday and Sunday at Kilmeadan Station. Award winning Sea Synergy Marine Awareness & Activity Centre is nestled in the colourful coastal village Waterville, Co. Kerry on the Ring of Kerry and perfect for families looking for fun adventure and discovery along our beautiful Wild Atlantic Way! 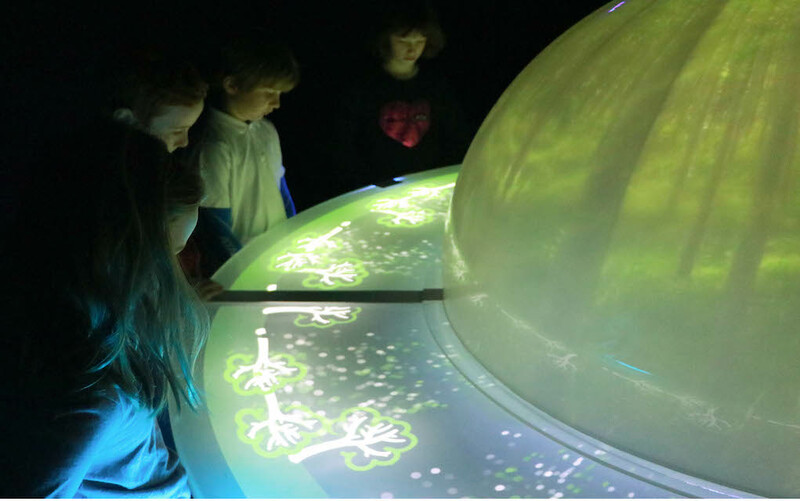 The awareness centre houses a unique interactive exhibition on Ireland’s sea life where marine biologists will give you a tour without having to get wet! Hold some of the largest animals on earth’s bones and see some of the ocean’s smallest and extremely important animals in the exhibition. A visit to Muckross House, Killarney would not be complete without a trip to Muckross Traditional Farms, where you step back in time to Ireland of the 1930’s & 1940’s to experience what life was like on a traditional working farm. You can step inside traditional dwellings, a Labourer’s Cottage, a Carpenter’s Workshop and the Blacksmiths Forge and visit the old schoolhouse. Afterwards you can relax with a picnic while the kids enjoy the woodland playground, bouncy castle and a visit to the petting farm. Don’t Miss: The petting farm. 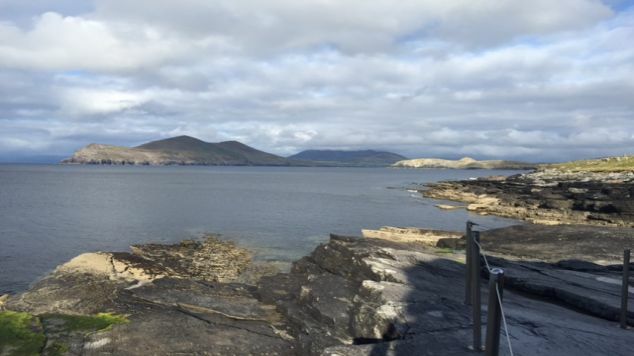 Valentia Island lies at the end of the Iveragh Peninsula, more familiar to many as the location of the Ring of Kerry. But did you know that on the island you will find one of only 4 sets of prehistoric footprints in the world? The Tetrapod imprints are thought to date from Devonian times – somewhere between 350 and 370 million years ago. This site is of international significance as it represents the transition of life from water to land – a momentous turning point in evolution and provides the oldest reliably dated evidence of four-legged vertebrates (amphibians) moving over land. Don’t Miss: The information plaque at the bottom of the hill. 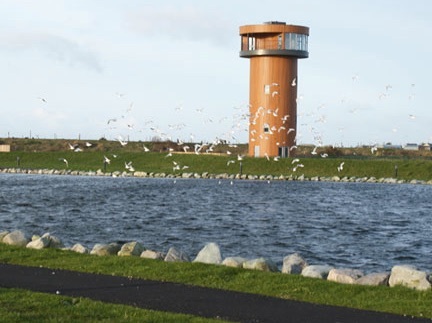 Play king of the castle in the viewing tower at Tralee Bay Wetlands. You can also sit in a bird hide, visit the state of the art interactive wildlife exhibits, take a guided nature boat tour and go on the nature board walk, where you can get up close with plants, insects and small mammals! As if that wasn’t enough, the activity zone and lake offer you the chance to rent a pedalo or a rowing boat, go water zorbing, or scale the climbing wall. Relax afterwards in the visitor centre, which houses a café/bistro and gift shop. Don’t Miss: The view from the top of the viewing tower taking in 8,000 acres of the reserve and the Slieve Mish mountains in the background. Seafari Kenmare have Seal and Sea Eagle watching cruises running throughout the summer months. 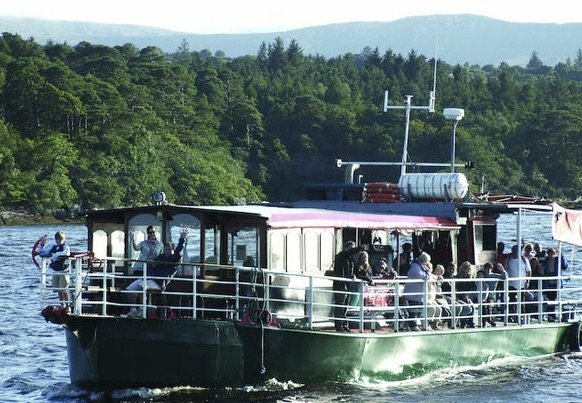 They pride themselves on entertaining everyone from age 3 to 93, with an informative commentary given by the captain and guides as you cruise along the 6 to 10 mile route sheltered by the Beara peninsula. Common seal pups are born during late June and July and at these times you can see young pups being fed by their mothers on the shore and hanging onto their mothers’ backs as they are learning to swim and catch fish! Don’t Miss: The complimentary lollipops, tea, coffee and cookies or for anyone feeling the need, a special ‘tot’ of medicine! Crag Cave is situated just outside Castleisland in Co. Kerry and is thought to be over 1 million years old. On your tour of Crag Cave you will see fine examples of pillars, stalactites, stalagmites, flowstones, straws and curtains, all naturally formed in the limestone cave. After your cave visit, you can relax with tea/coffee and selection of snacks in Crazy Cave, while the kids enjoy a run around in the well equipped play area. During the Summer months visitors can also enjoy live birds of prey flying shows by Kingdom Falconry. Don’t Miss: The Crystal Gallery within the cave. Where the mouth of the Shannon feeds into the Atlantic is the place a group of 200 bottlenose dolphins like to hang out. 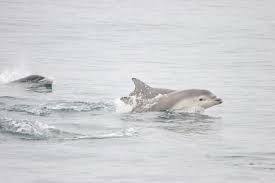 Shannon Dolphinwatch offer you the chance to hear them chat via an underwater microphone in Draíocht, skipper Geoff Magee’s boat – and you might even spot a whale, a seal or some wild goats on the surrounding hillside. The nature boat trip excursion lasts approximately 2 hours. 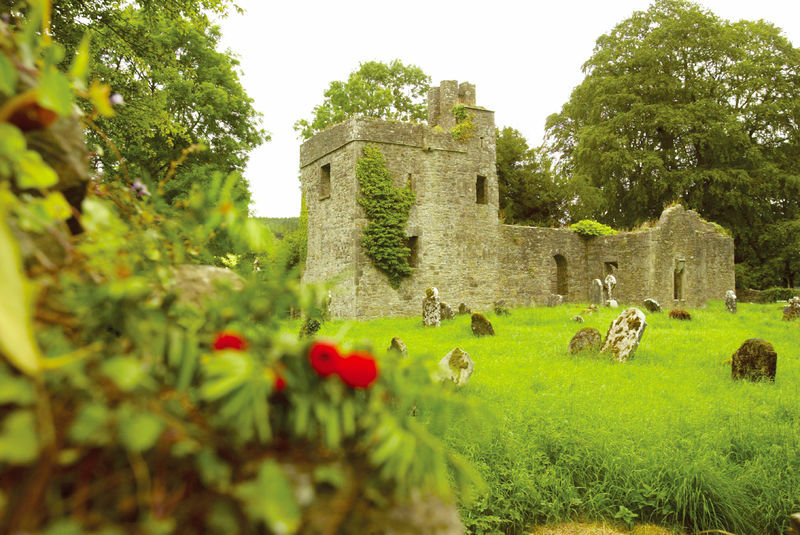 Don’t Miss: The nearby Carrigaholt Castle, one of Ireland’s best preserved Tower Houses. Two attractions in one at the Aillwee Caves and Burren Bird of Prey Centre in County Clare where you can visit underground caves and then enjoy spectacular bird flights above ground. 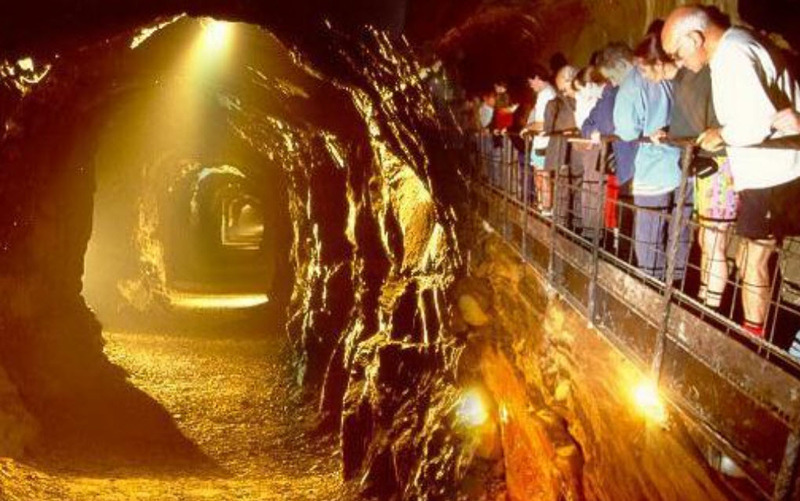 The Cave tour consists of a 30 minute stroll through the beautiful caverns – over bridged chasms, under weird formations and alongside the thunderous waterfall which sometimes gently sprays the unsuspecting visitor! The Birds of Prey Centre offers dynamic flying displays where the visitor can interact and get up close and personal to the birds. They also house Eagles, Falcons, Hawks, and Owls from all over the world. Don’t Miss: The Woodland Craft Village where you can try your hand at archery! The towns of Killaloe, Co Clare and Ballina, Co Tipperary are nestled on the banks of Lough Derg and are separated by a bridge spanning the river Shannon, which both cars and pedestrians can cross, so one minute you are in Co Tipperary and the next in Co Clare! Along the banks of the Shannon in Riverside Park on the Ballina side of the town, there is a hidden gem which opens to the public during the summer months. It is an outdoor heated swimming pool. 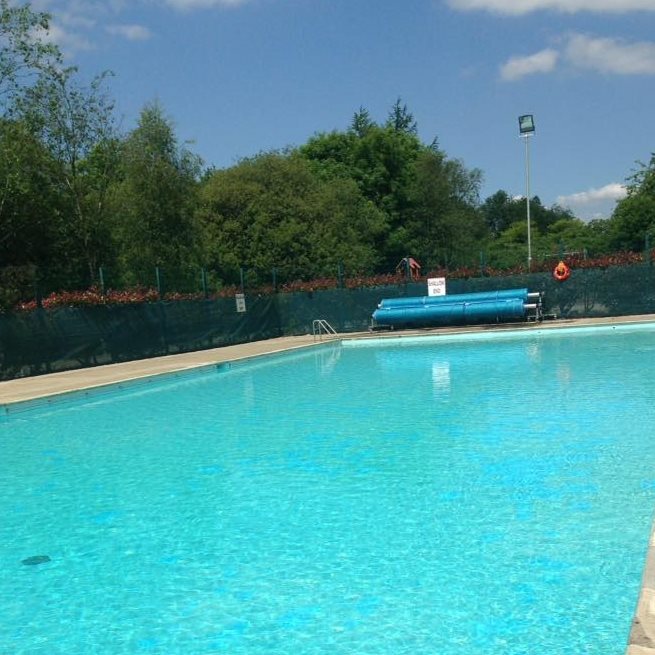 Right beside there is plenty of parking, picnic benches, a well equipped playground and outdoor exercise equipment for all the family to enjoy. 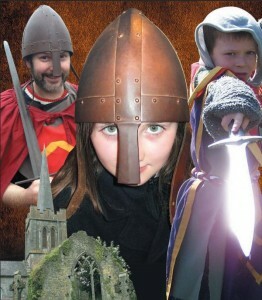 Don’t Miss: The annual Félie Brian Ború Festival which takes place at the end of June and the start of July annually. 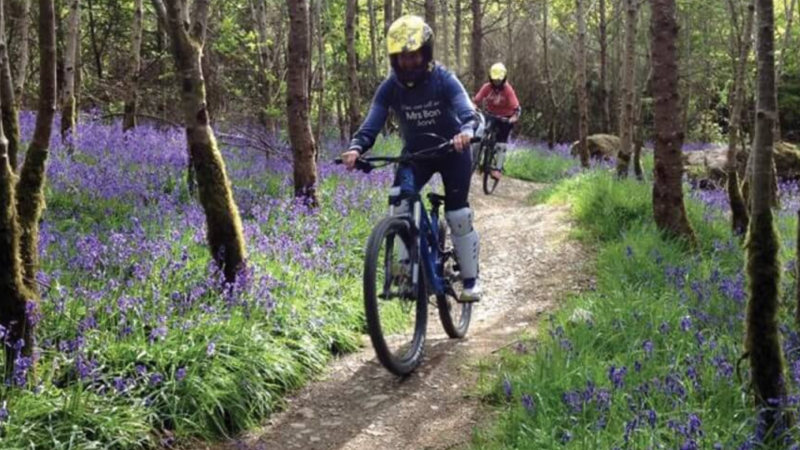 Bike Park Ireland is a hidden gem in north Tipperary, a purpose-built mountain bike park that caters for everyone. w5 belfast who, what, where, when, why is Ireland’s award winning science and discovery centre at Odyssey in Belfast. With over 250 interactive exhibits and a changing programme of events, shows and exhibitions, W5 is a great value day out for all the family, we recommend you allow at least 2 hours for your visit. Don’t Miss: Spacebase an activity zone for 3 to 11 year olds. 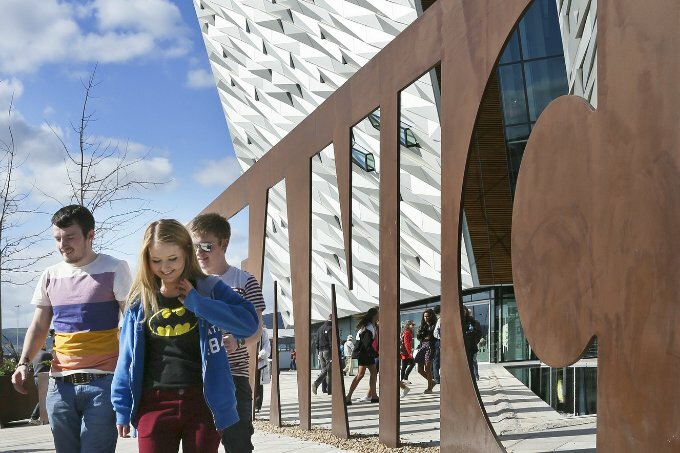 At Titanic Belfast, discover the Titanic story in a fresh and insightful way. Explore the shipyard, travel to the depths of the ocean and uncover the true legend of Titanic, in the city where it all began. With several levels of interactive exhibits, tracing the story of the Titanic from its origins in industrial Belfast to the final tragedy itself, you will find plenty for all ages. Don’t miss: Afternoon Tea which takes place in the Titanic Suite, featuring the Grand Staircase and overlooking the Slipway on which Titanic was built. From here enjoy the view across the Atlantic to Sligo, Leitrim and Mayo. The cliffs cater for all levels of climber, with a rocky path leading you to the top. Don’t Miss: The more adventurous can climb to one man’s pass, and discover early stone dwellings and sacred sites. 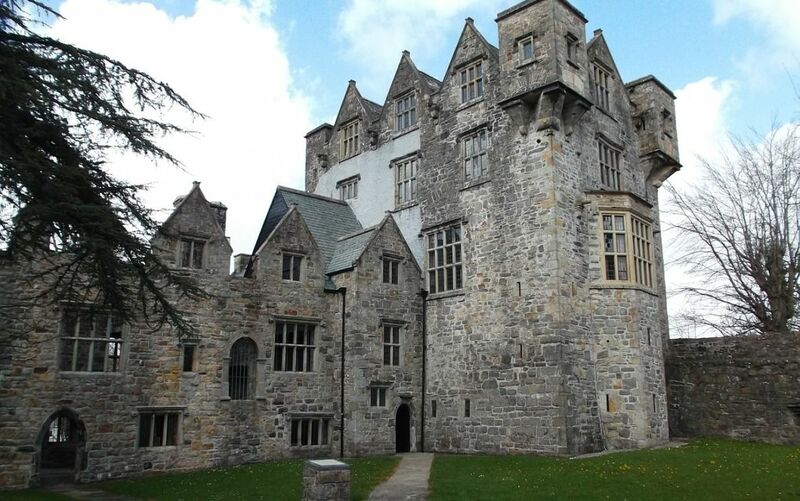 Donegal Castle, in the heart of Donegal Town, was built by the O’Donnell chieftain in the 15th century. The O’Donnell clan held it until until 1607, when they fled Ireland following a failed rebellion – becoming part of the so-called ‘flight of the earls’. 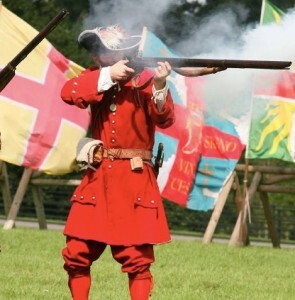 Red Hugh O’Donnell was the leader and one of the Earls that fled to Spain after the defeat at the Battle of Kinsale. A few years later the King granted the castle and its lands to Basil Brooke, whose descendants owned it until 1898 when it was donated to the state. It was partially restored in the 1990s. Guided tours available. Don’t Miss: The suits of armour – see how many you can count! The extensive displays contained within the award-winning Visitor Centre provide an introduction to the parks natural and built history, as well as providing information on walking trails, events etc. Guides on duty will also be happy to provide visitors with information about the park and surrounding area. Don’t Miss:The living heather roof of the Visitor Centre, mimicking the surrounding landscape to cause minimum disturbance. The Cavan County Museum is located at Ballyjamesduff, Co. Cavan. 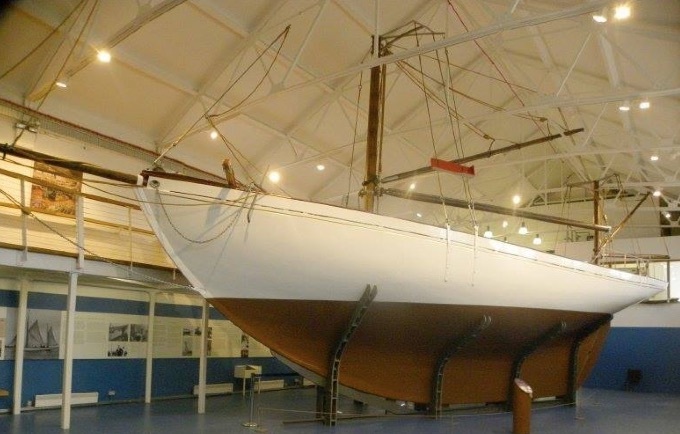 The museum houses a medieval dug out boat and sheela-na-gigs, galleries on folk life in the late 19th and early 20th Centuries, the great famine, Percy French & the GAA. 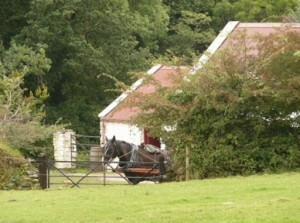 There is a children’s playground, garden, shop and tea rooms also on site. 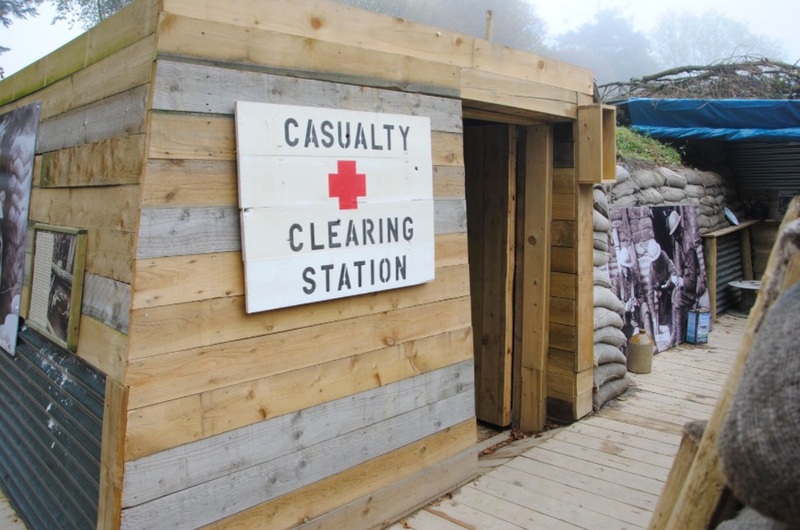 Don’t Miss: The World War 1 Trench Experience, the largest outdoor replica WW1 Trench open to the public in Ireland and the UK. At Bear Essentials in Cavan, you’ll find all sorts of bear fun! The Silver Bear Centre is an experience for children and adults alike with a vintage teddy bear collection. In the teddy bear gift shop you will find probably the largest collection of teddy bears in Ireland. 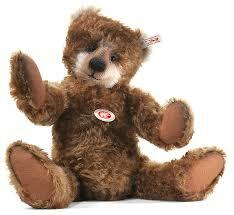 Besides famous brands of Steiff and Charlie Bears, the shop sells one off limited edition bears. The gardens are also worth a visit with picnic areas as well as greenhouses and a small playground for the children. You can also book a Build a Bear family workshop, just bring 5 people to the workshop and enjoy a teddy bears picnic afterwards. Don’t Miss: Having your photograph taken with life size replica brown and polar bears. The Marble Arch Caves Global Geopark is located in the rugged mountainous uplands and the gentle rolling lowlands of counties Fermanagh and Cavan. 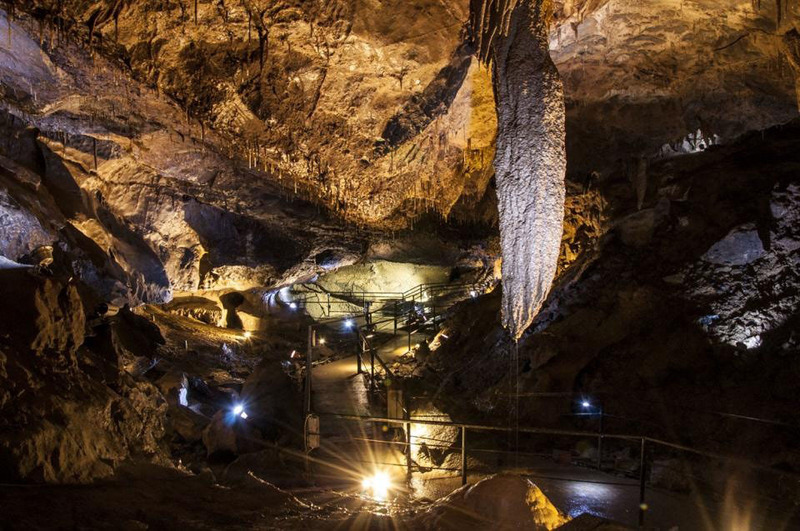 Taking in the world-famous Marble Arch Caves, the Geopark boasts some of the finest natural landscapes in Ireland and offers a window into the area’s 650 million year past. Don’t Miss: The truly spectacular Lough Navar Forest, located approximately 5km outside the village of Derrygonnelly, and undoubtedly one of the jewels in the Marble Arch Caves Global Geopark. 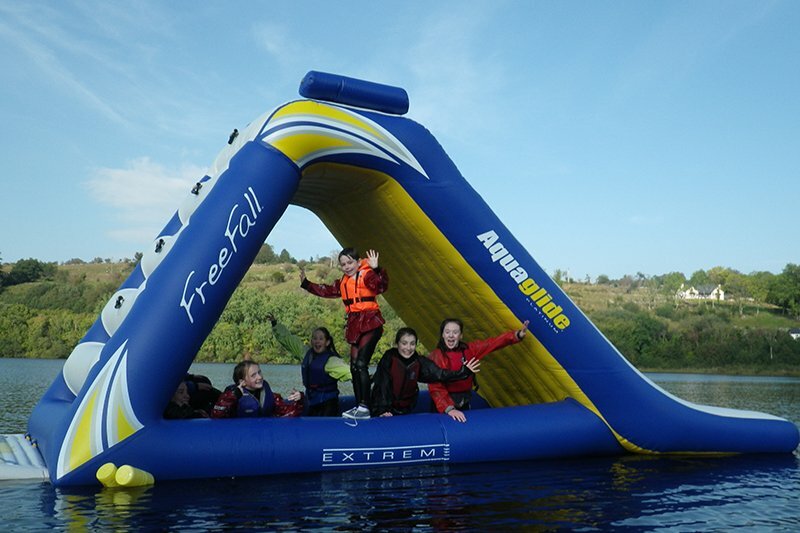 Fly down a 12-foot waterslide, bounce on a floating trampoline, catapult your siblings into the water – all at a floating water park in Upper Lough Macnean at Corralea Activity Centre at Belcoo in County ­Fermanagh. There are 3 trampolines all connected by various walkways and logs, you can bounce on the water trampolines and splash into the water or whizz down the 4m high water slide. Hours of water fun for the whole family under the watchful eyes of Corralea’s Activity’s lifeguards. Don’t Miss: The outdoor climbing wall when you tire of the water. The Giant’s Causeway provides a glimpse into the Earth’s most ancient past, and thus was designated a World Heritage Site by UNESCO. 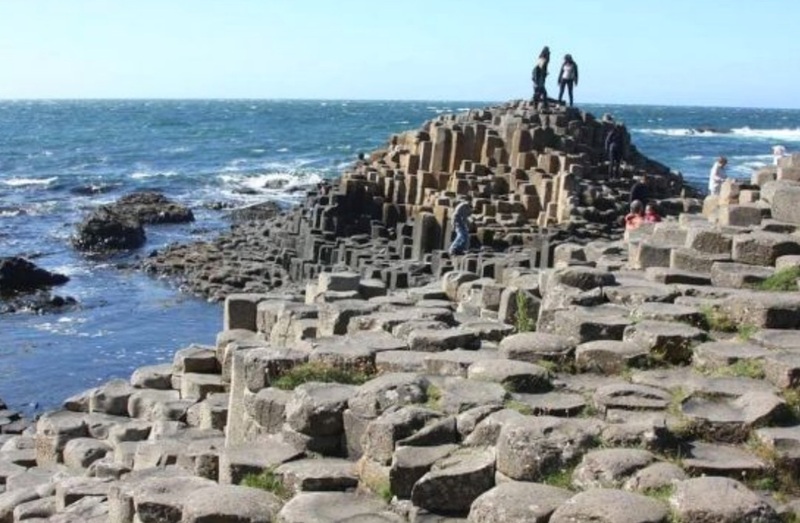 Made up of over 40,000 interlocking basalt columns, the Giant’s Causeway is the result of intense volcanic activity millions of years ago. Climb the Shepherd’s Steps and hike along the cliff-top trail to get a bird’s eye view of the beautiful causeway coast. Don’t Miss: The award-winning visitor centre, where there are also guided tours/audio guides available. The Ulster American Folk Park, just outside Omagh, is an outdoor museum which tells the story of emigration from Ulster to America in the 18th and 19th centuries. Follow the emigrant trail, meeting an array of costumed characters on your way, as you journey from the thatched cottages of Ulster, on board a full scale emigrant sailing ship, leading to the log cabins of the American Frontier. Don’t Miss: The regular programme of family events so check what’s on for your visit. 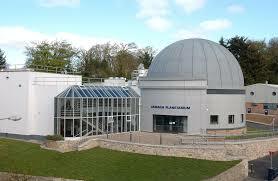 The Armagh Planetarium should be on your go-to list if there are any budding astronomers in your house! Interactive displays allow you to learn about the cosmos and watch the latest space news in real time. The Armagh Celestial Cathedral is a beautiful gallery of illuminated deep space images taken by the Hubble Space Telescope framed in dramatic gothic arches and the Astropark is a scale model of the Universe where visitors can walk through the Solar System and into the Milky Way and beyond. Don’t Miss: You can design, build and launch your own rocket too! 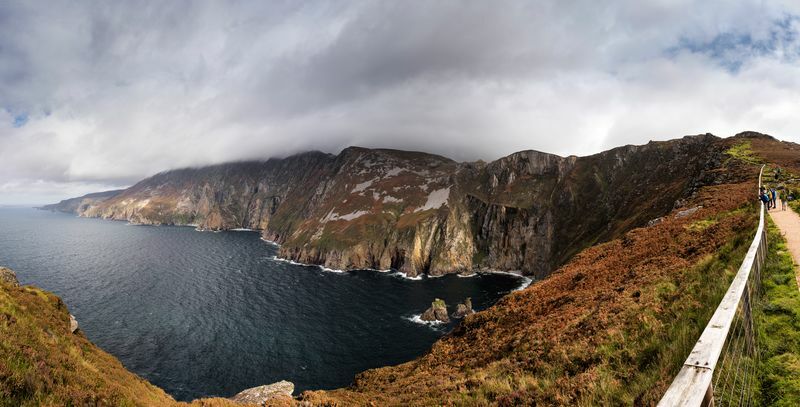 Have you visited any of the 99 places to go in Ireland on our list? Tell us how you got on in the comments below!